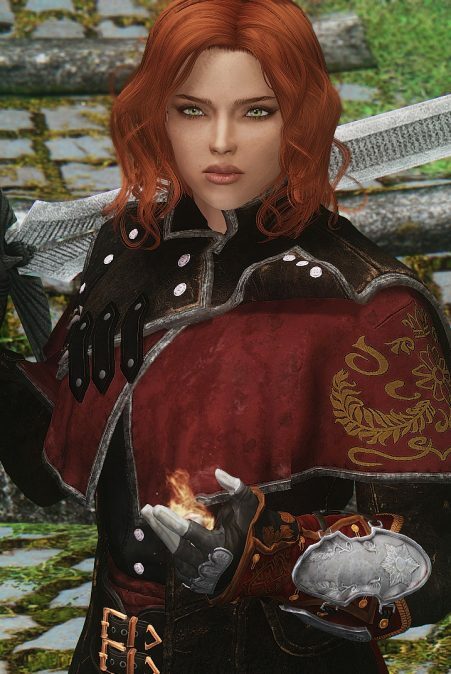 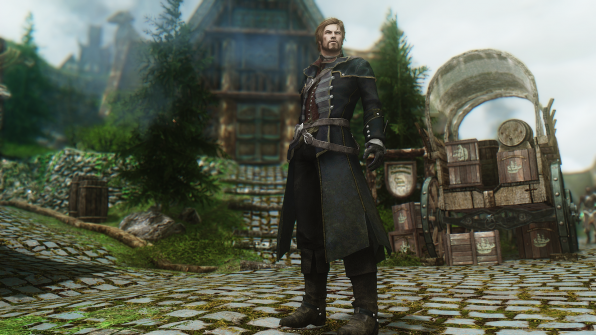 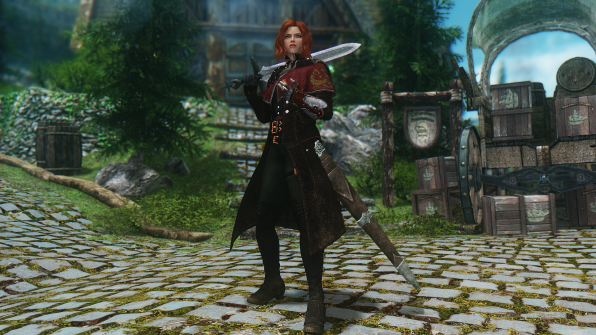 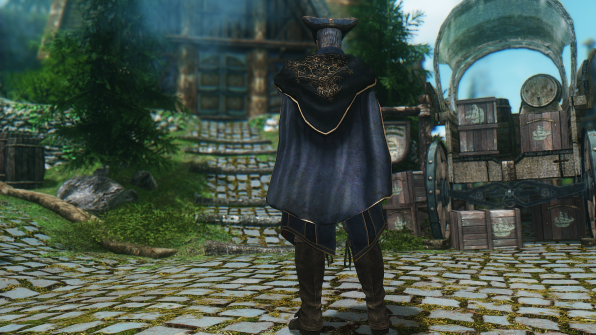 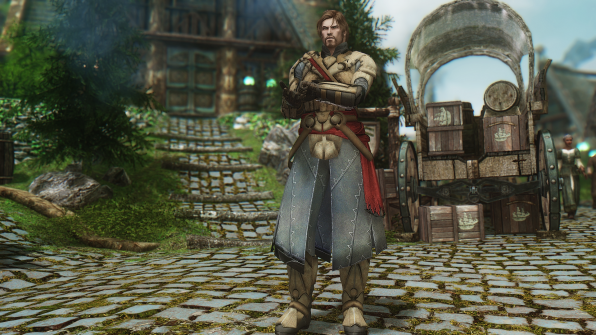 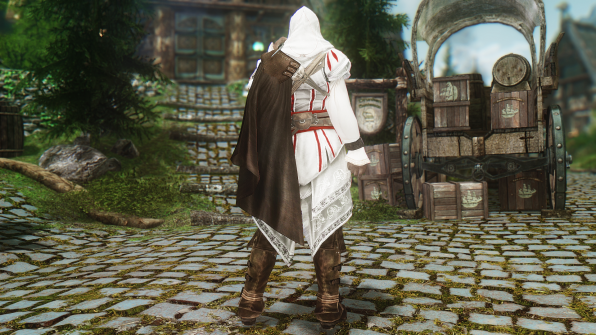 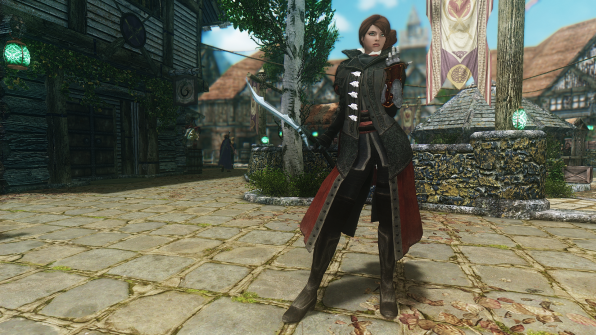 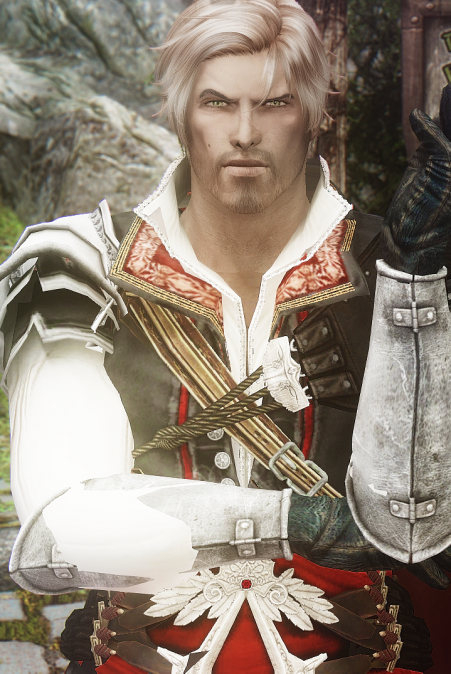 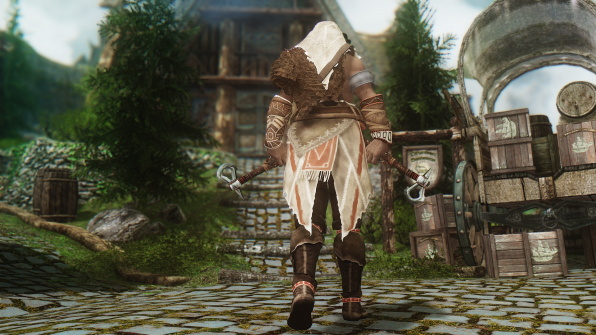 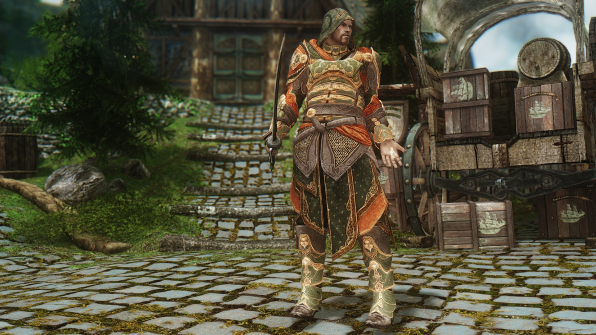 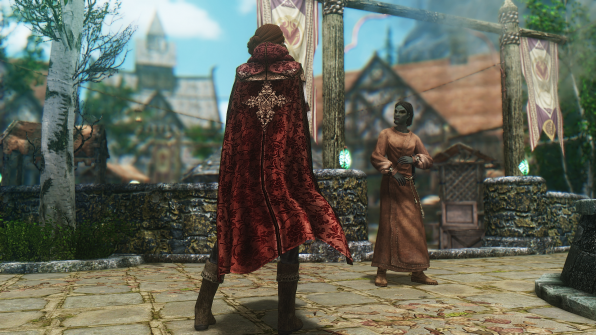 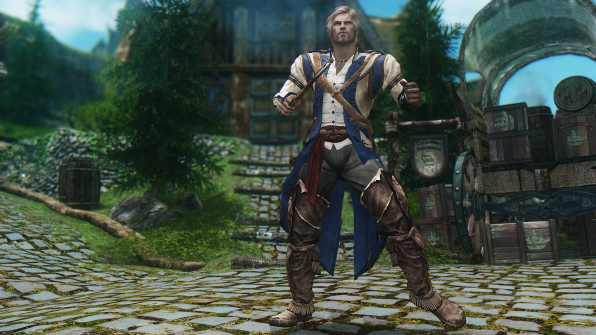 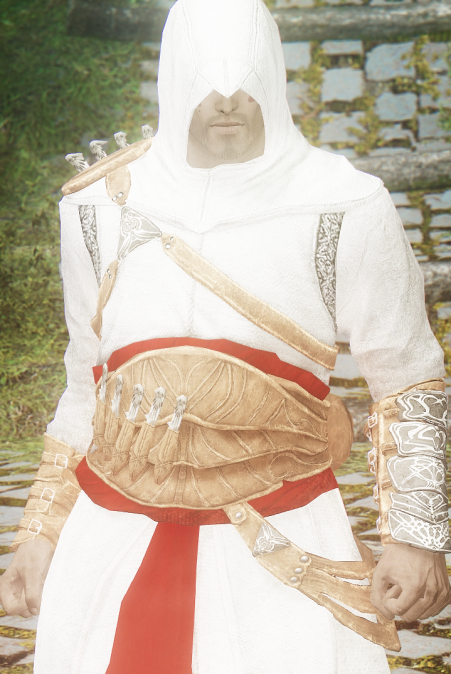 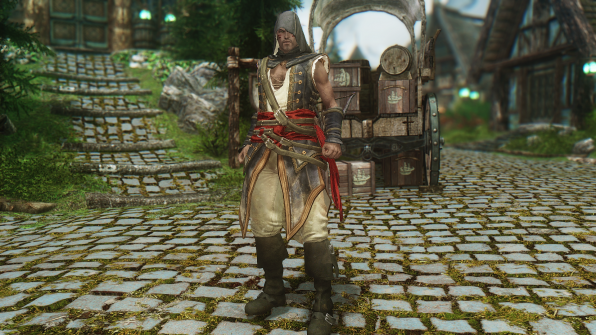 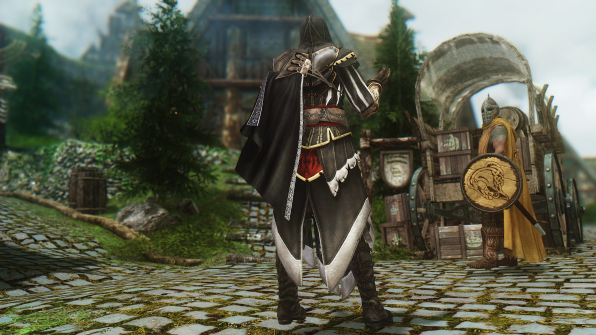 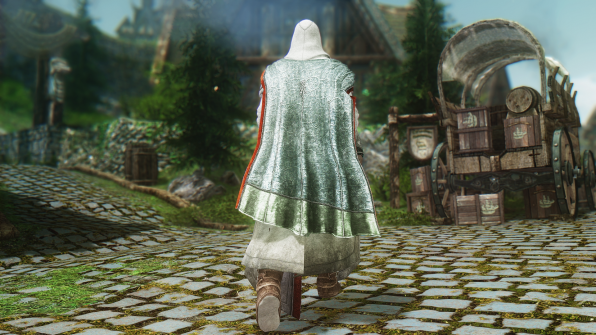 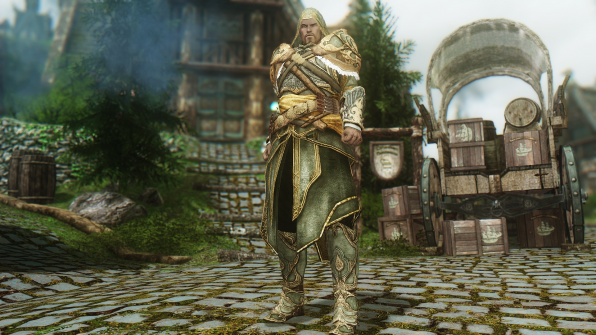 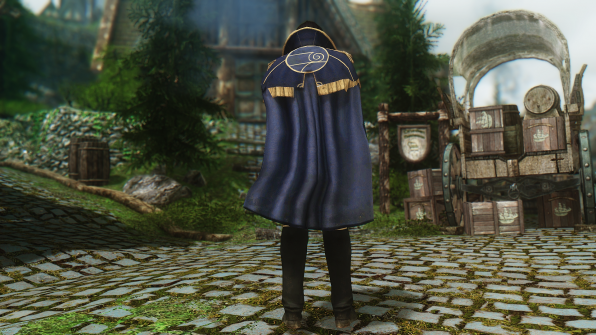 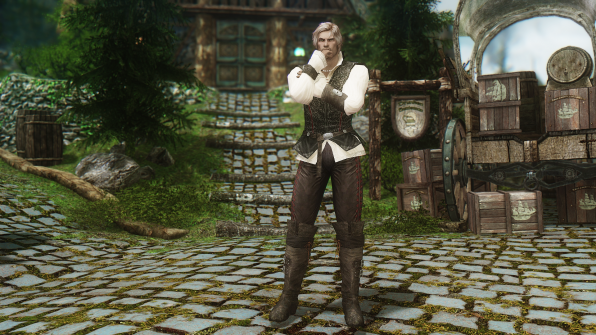 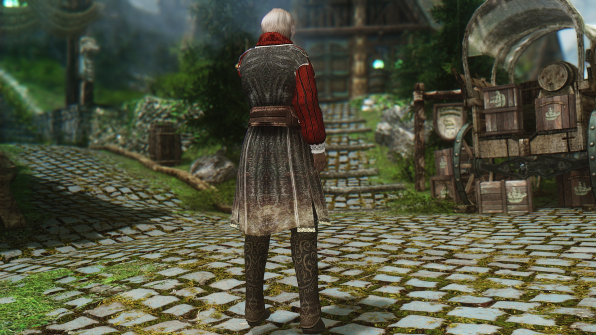 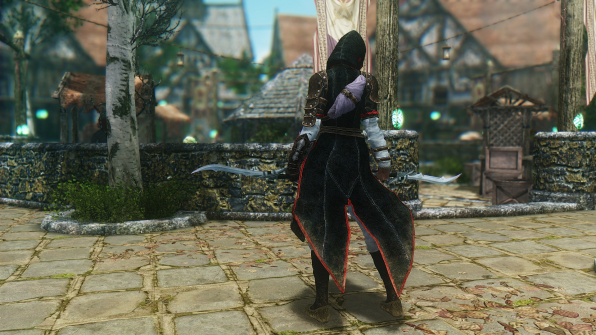 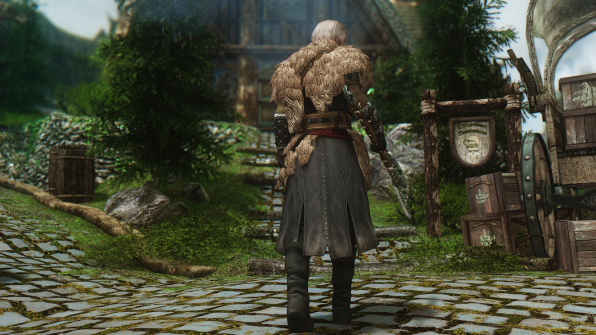 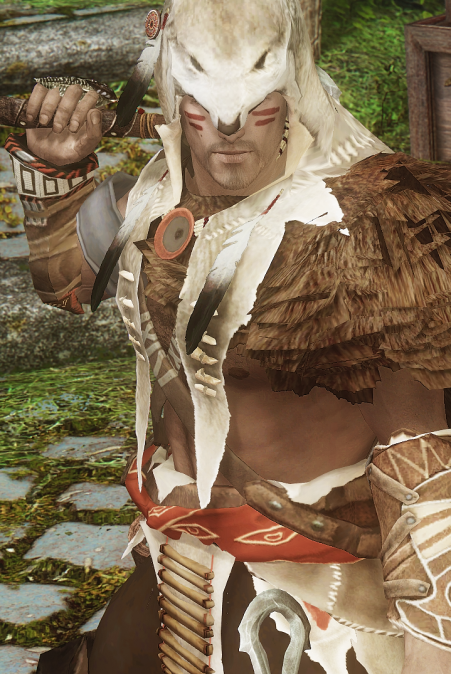 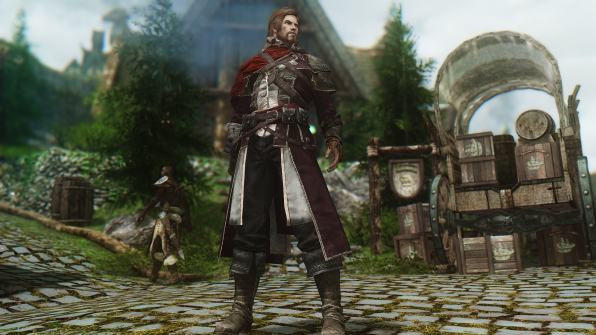 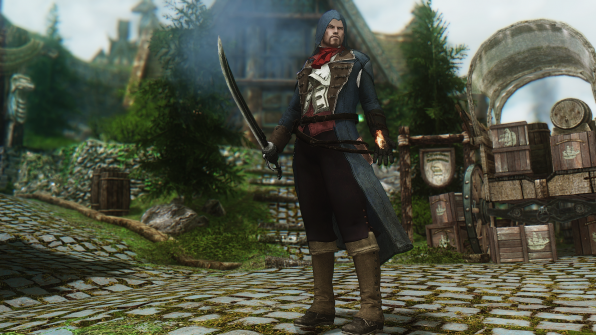 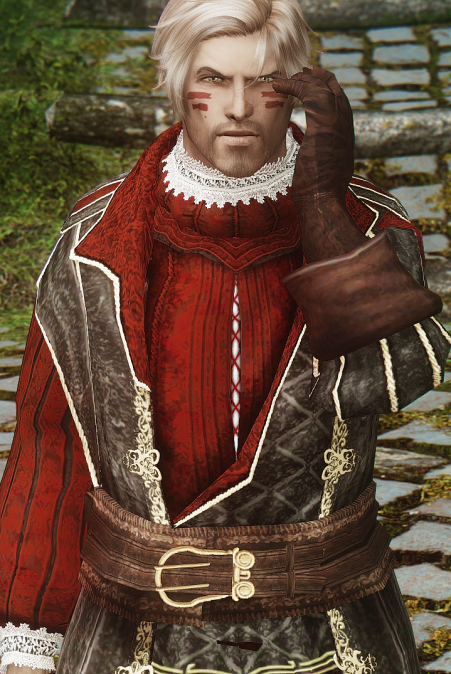 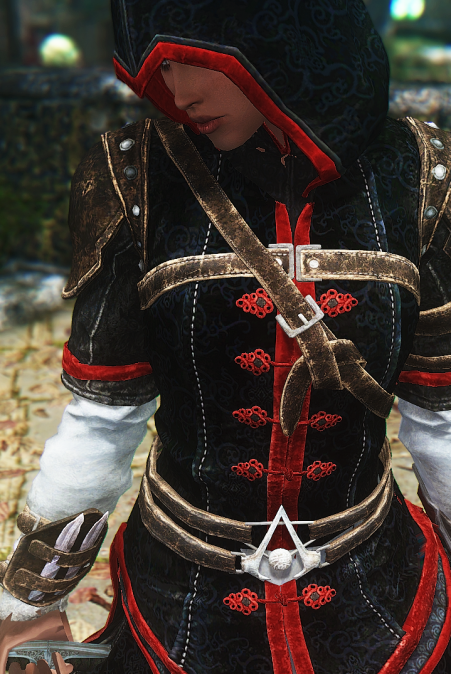 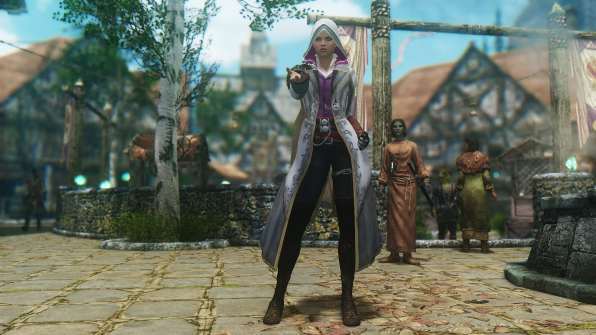 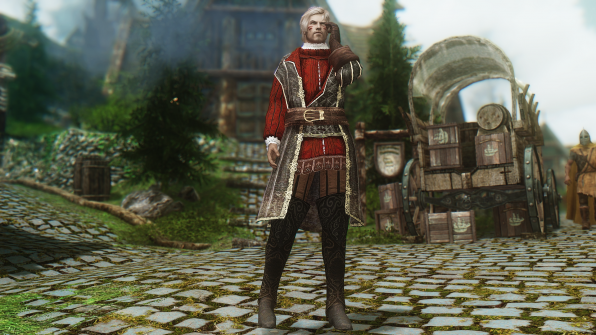 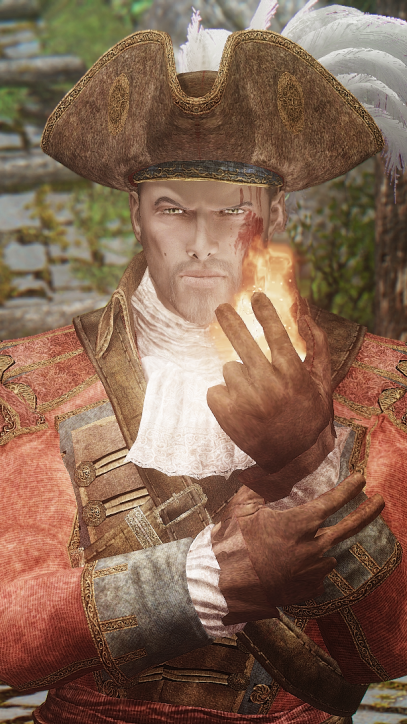 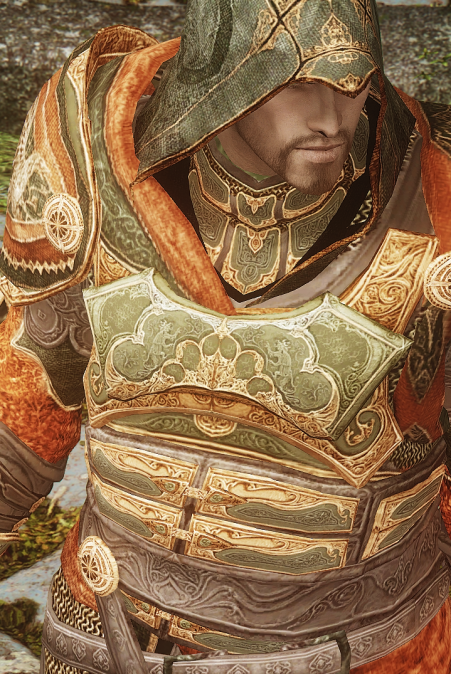 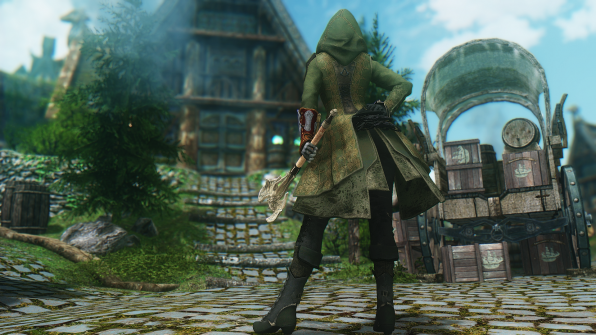 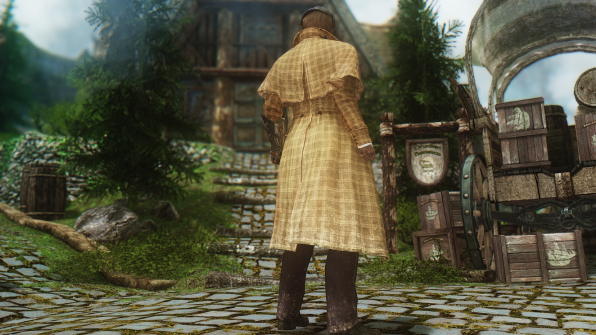 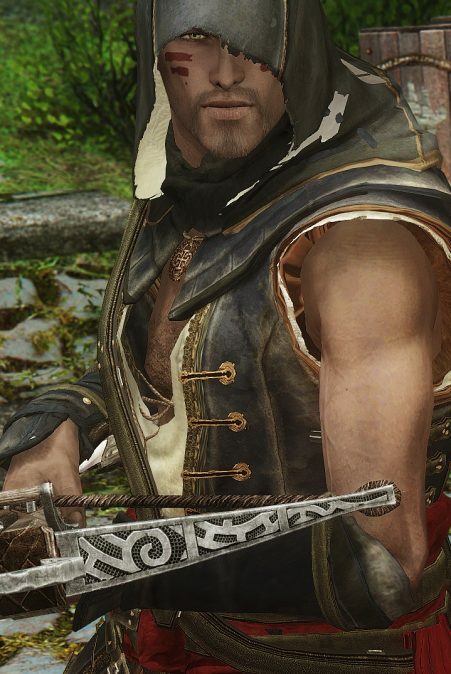 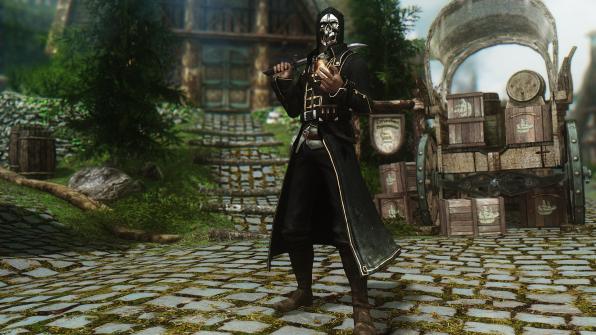 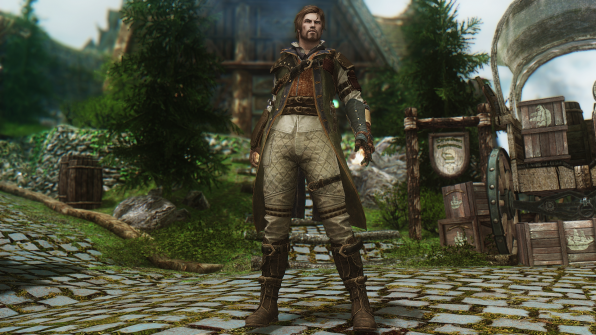 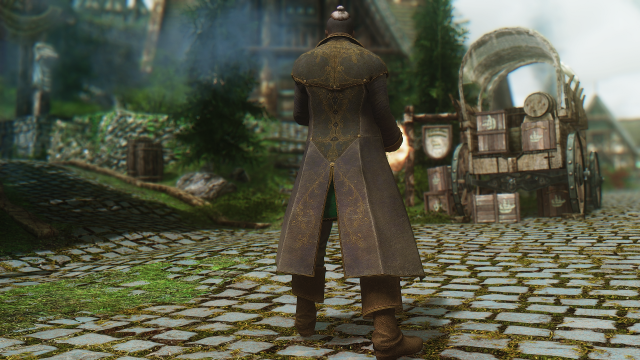 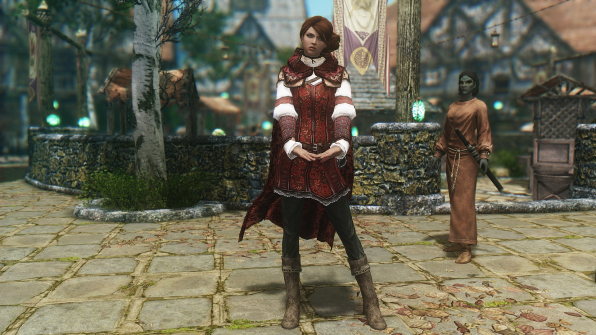 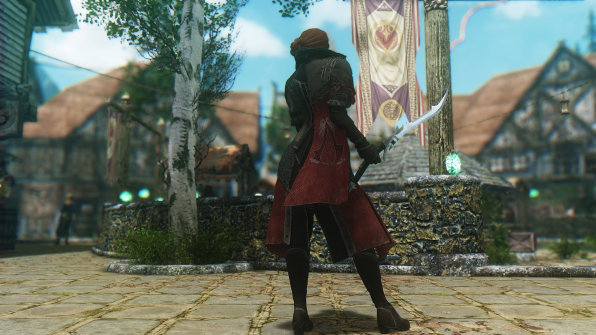 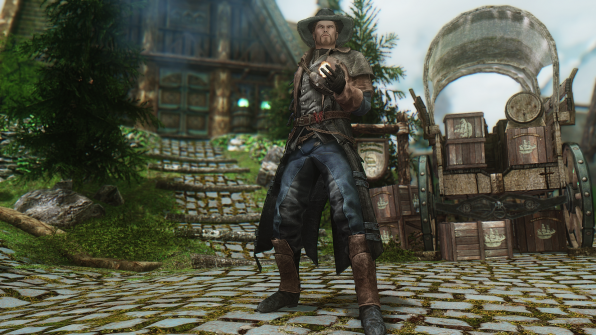 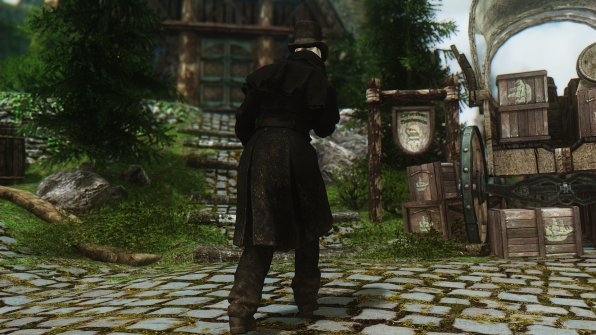 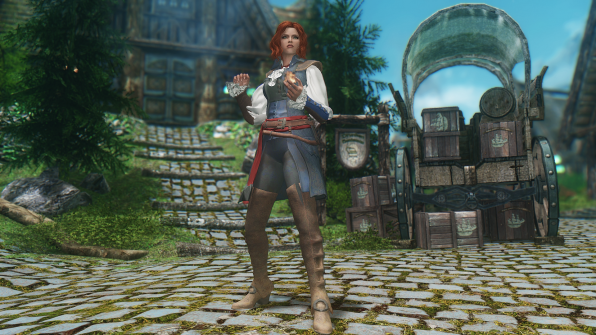 I’ve always loved the aesthetic of Assassin’s Creed, so naturally their outfits are among some of my favorite mods for Skyrim. 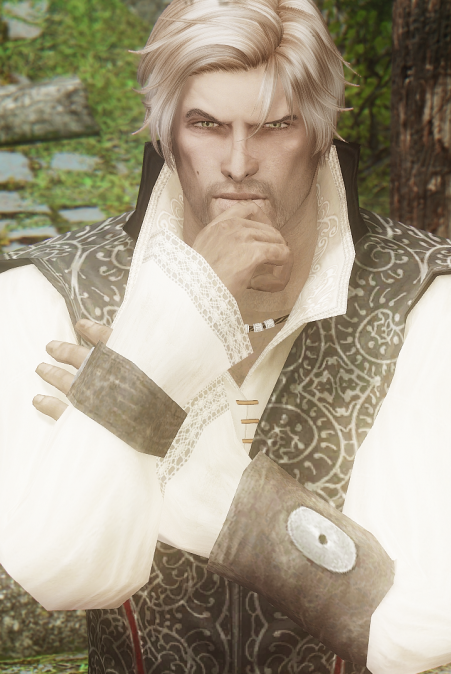 Recently, 레커 (Lae Keo, I think is how you say it?) 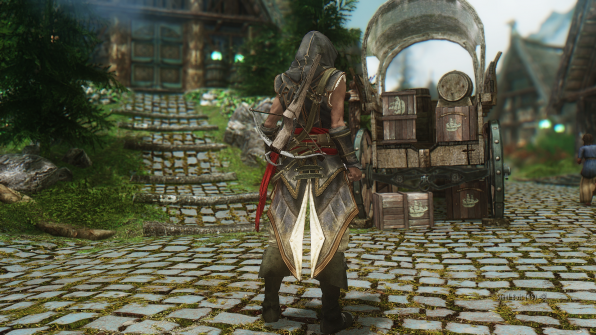 on Steam has been porting over tons of new armors from the AC series (and Dishonored and Battlefield as well!). 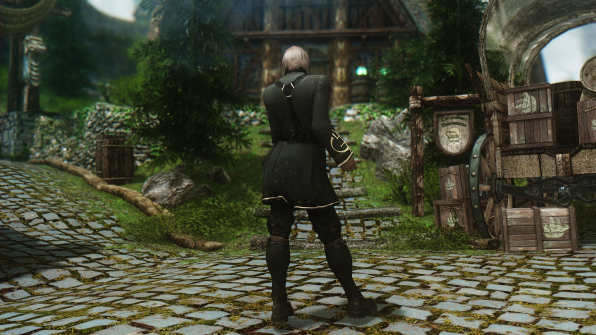 Anyway, I decided to try them all on and take some screenshots for you … the individual mods are all linked in the post but sadly, they’re only available on Steam. 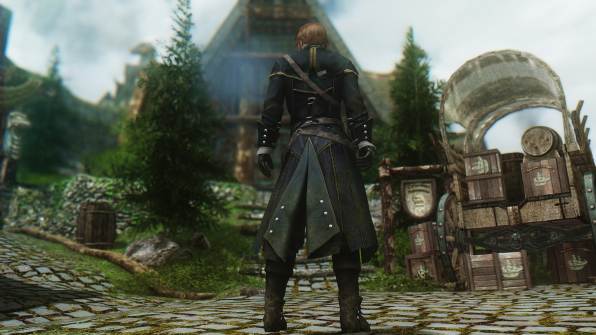 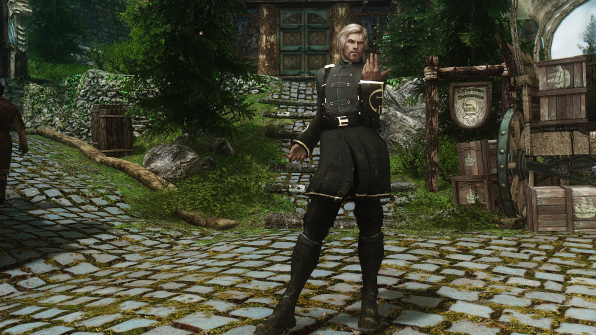 *The original mod creator asked me to take down the compilation – now you have to get them from Steam, or ask me to send you the file in comments :)* The original mod creator has since posted that he doesn’t care if people reupload his mods, woo! 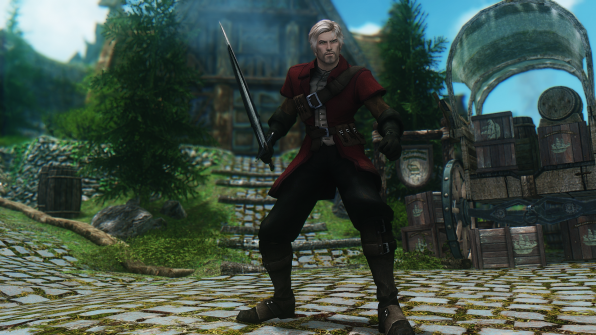 If you’re interested in downloading these mods from Steam one by one, here are the links and how to get the armors – some of the naming differs from in-game and the download file, so make sure you read the description below to see what name to look for in the console. 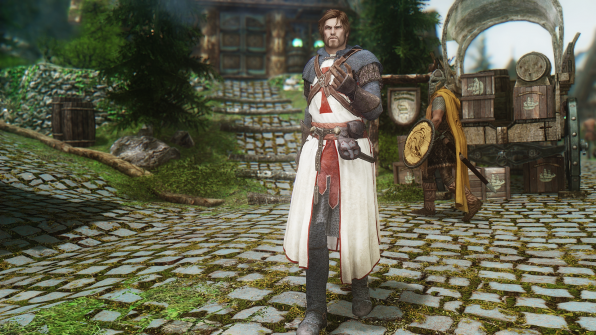 Also, all of these armors are craftable in the forge unless otherwise denoted. 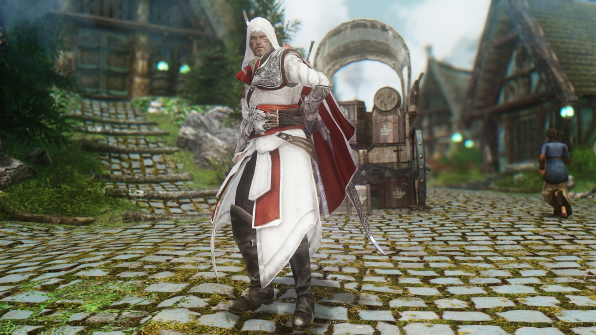 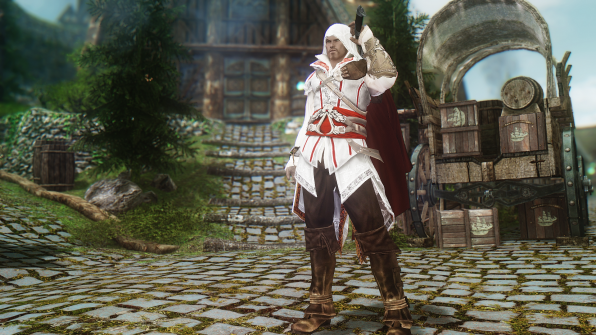 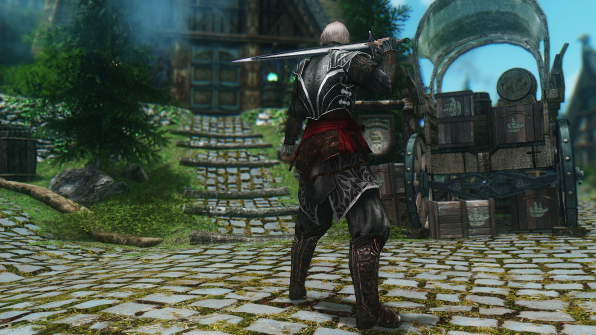 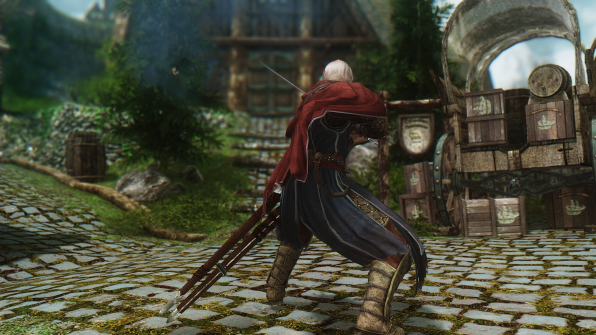 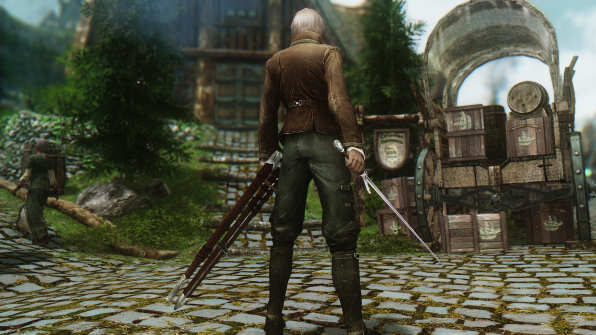 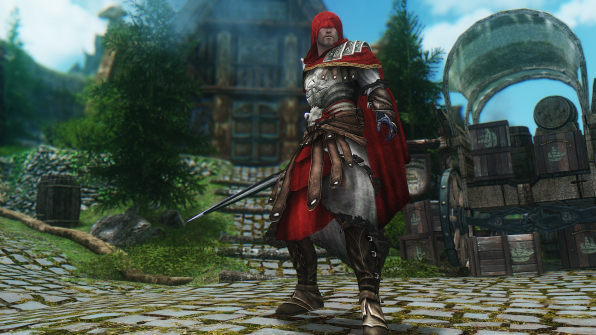 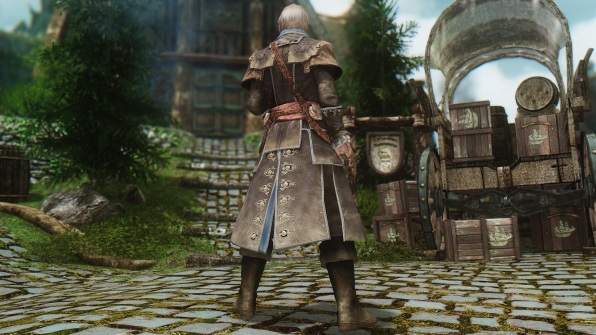 Got any more Assassin-themed mods to add to this list? 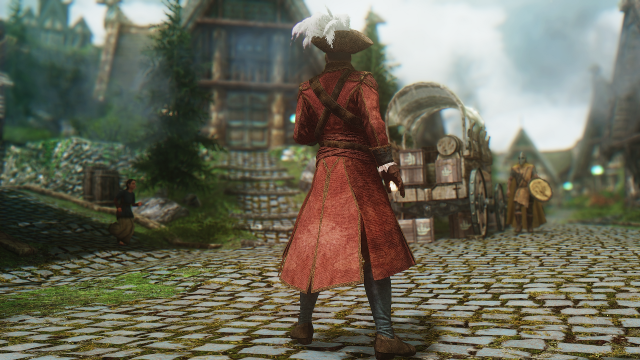 Let me know in comments! 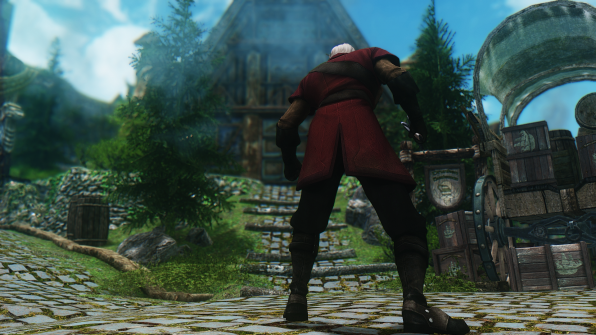 I hate Steam and many of these tend to disappear after a while anyway. 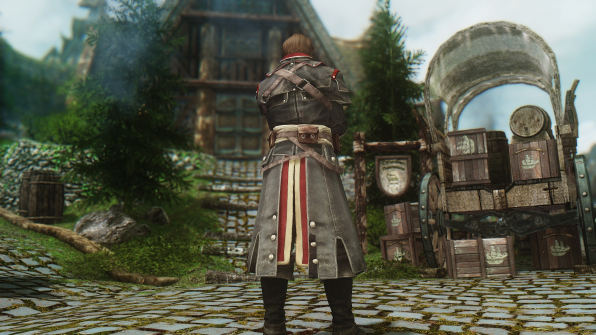 Aaaaand it’s down. 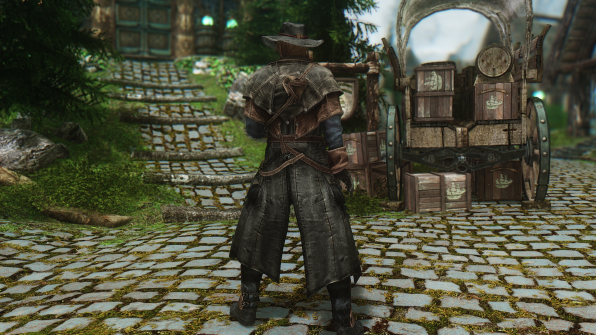 Just like I expected. 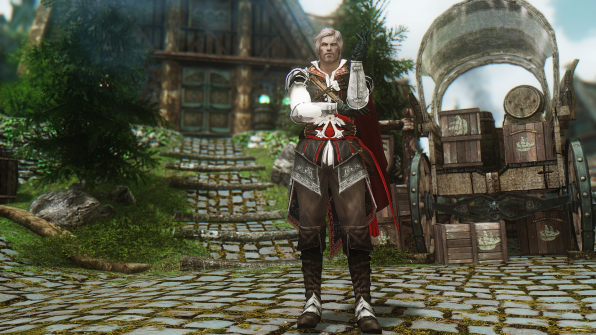 Don’t worry, the old link still works :) Someone posted it in the comments. 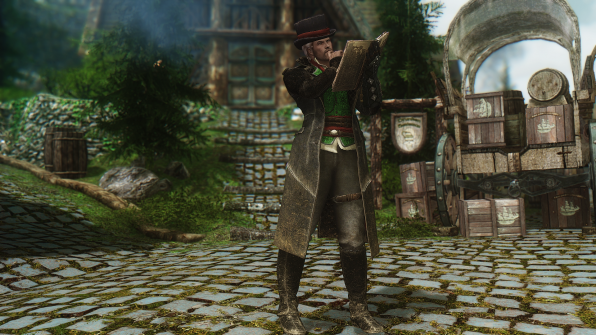 Everything’s up to date with all the latest! 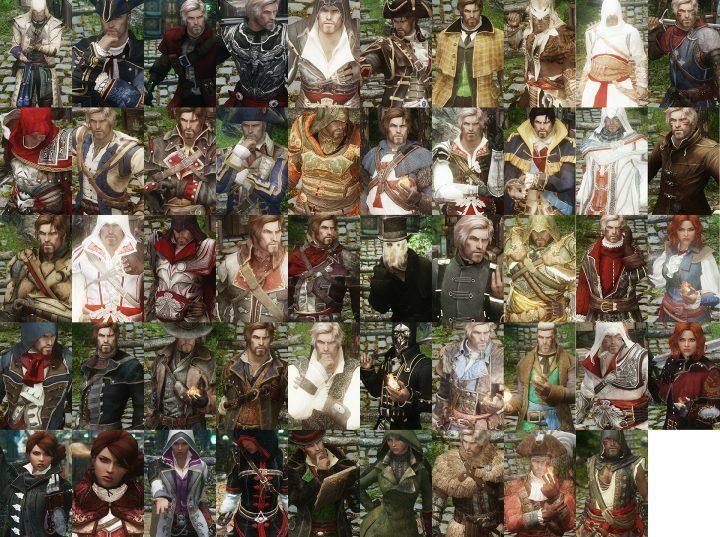 I also really love this compile, too!! 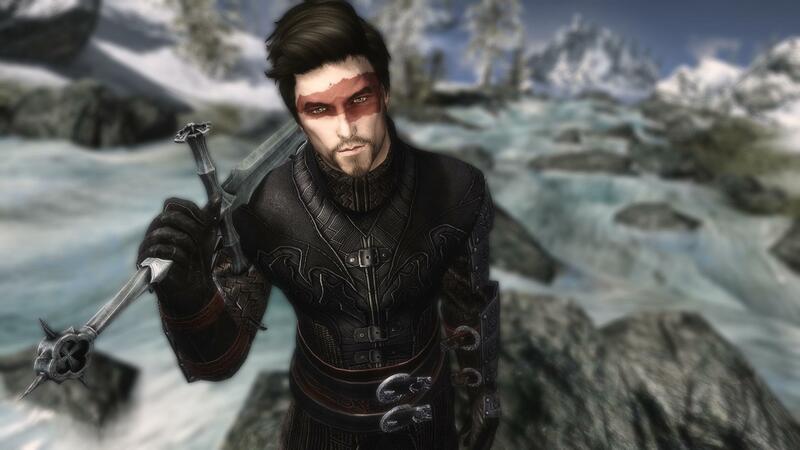 Such “hotness” all in one package! 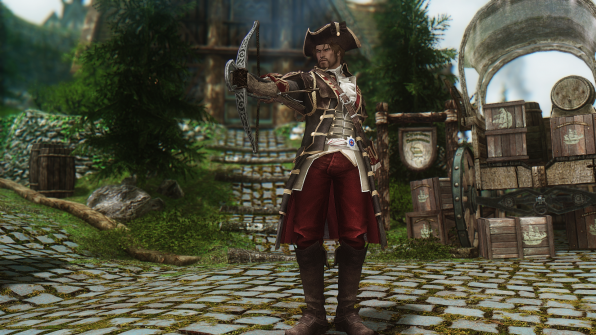 Ok, let me just do everyone a favor here and post the link to this download in the comments. 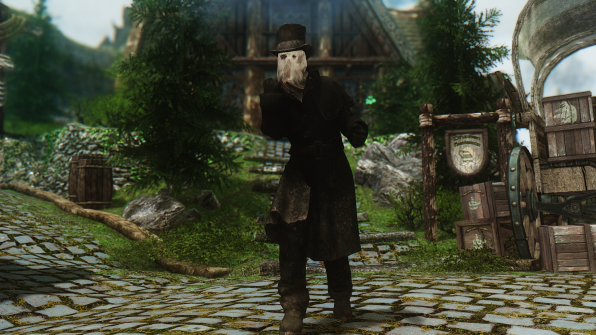 Thanks for compiling this GPG – it’s so stupid when modders care what site their mods are being downloaded from, it’s not like they’re making money from it, and also if you’re only choosing to upload your mods to Steam, you might as well not upload them at all! 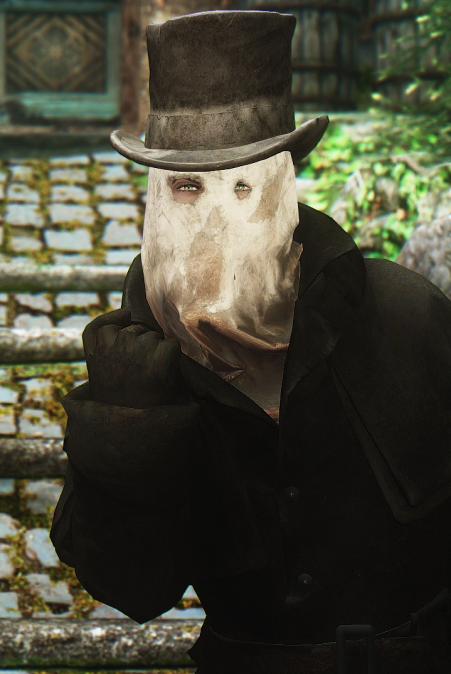 and you’re right if i was the modder i would want everyone to be happy using my mod and spreding the word to everyone. 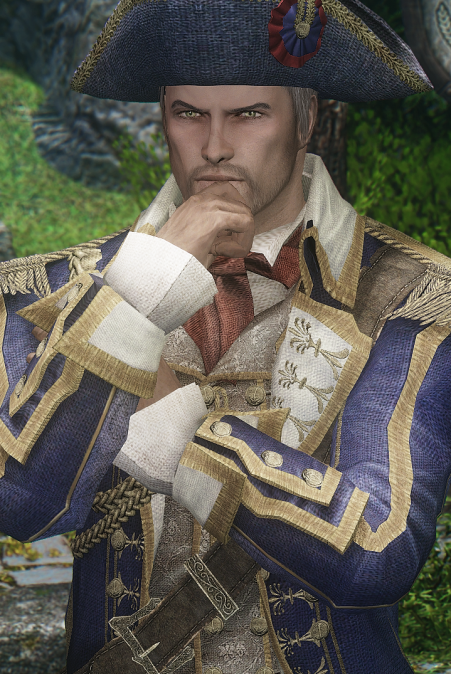 and like you said he’s not getting paid so why bother? 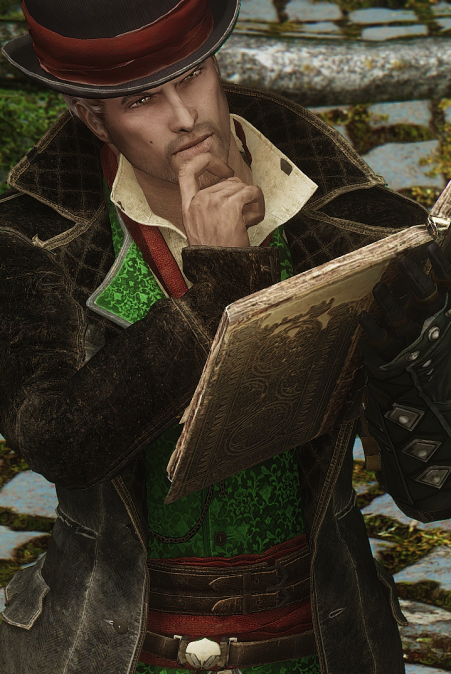 not to bother, but, do you think you can send me the compilation file? 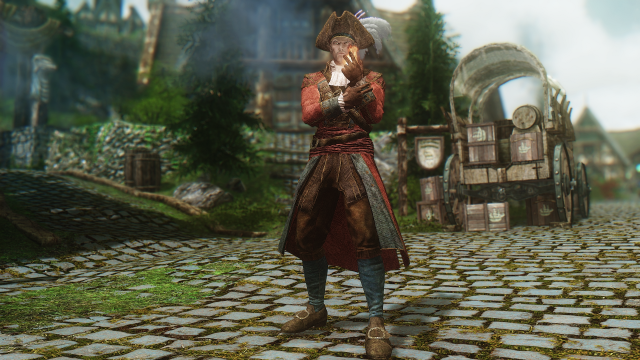 Can I please please please have the mod? 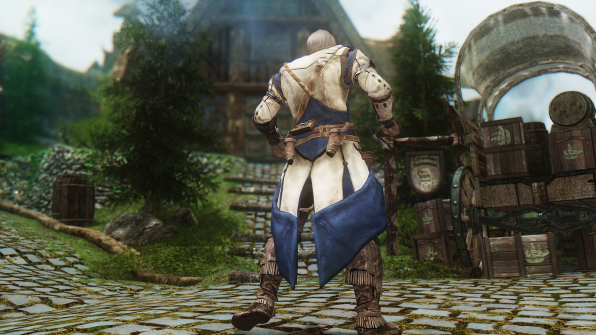 Hey friend you could get these two mods the same author ? 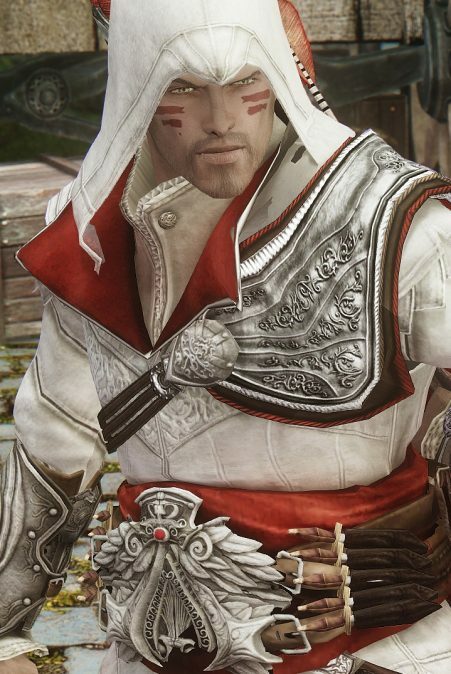 What happened to the link….? 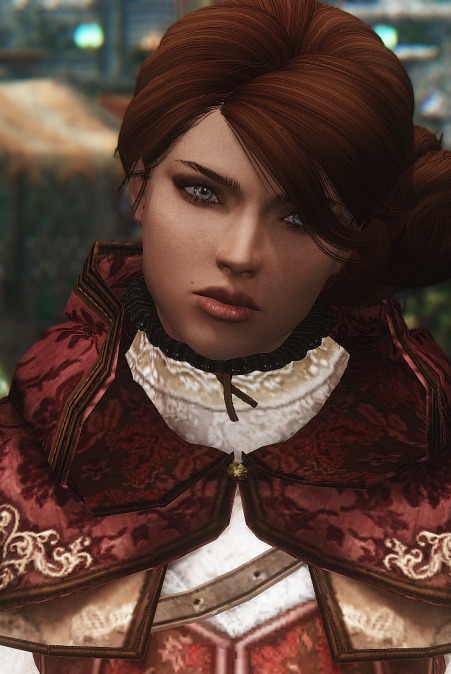 I really want to download this but I can’t figure out how please please send it or help! 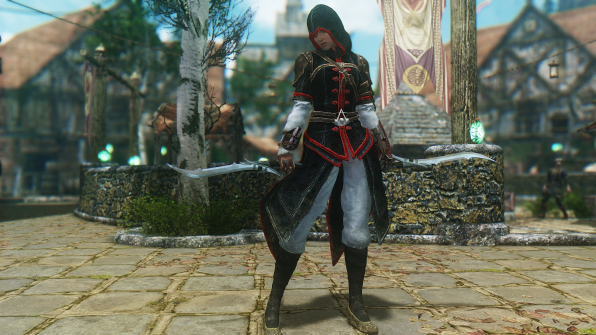 :D thanks!!! 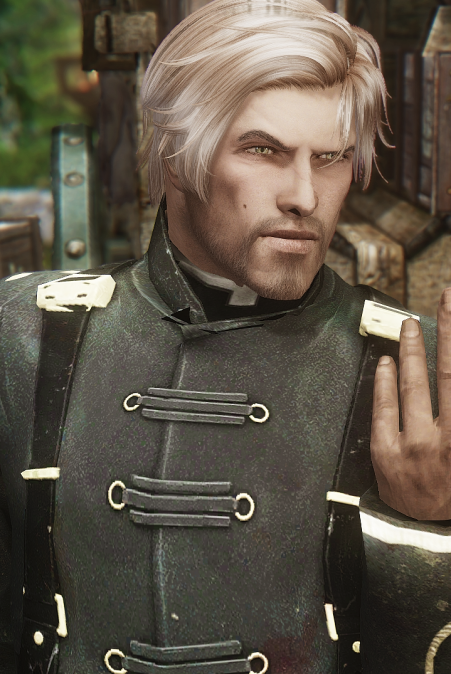 Can you please send me the files? 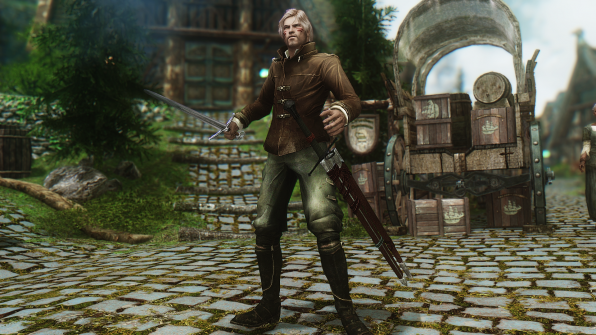 Or maybe if there was one esp version? 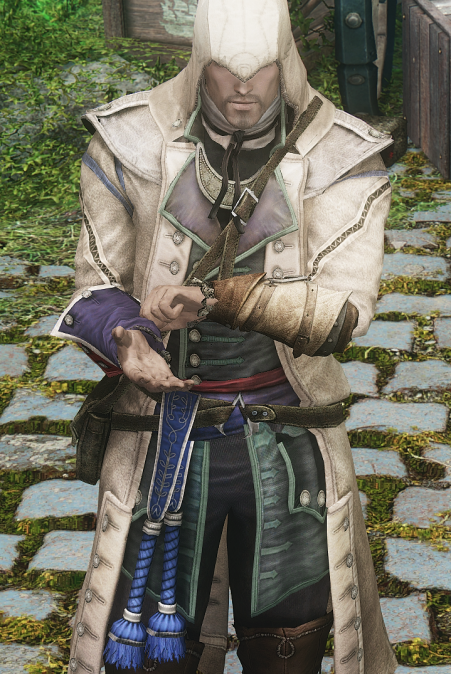 Hello,I read the description says to ask you to send the file. 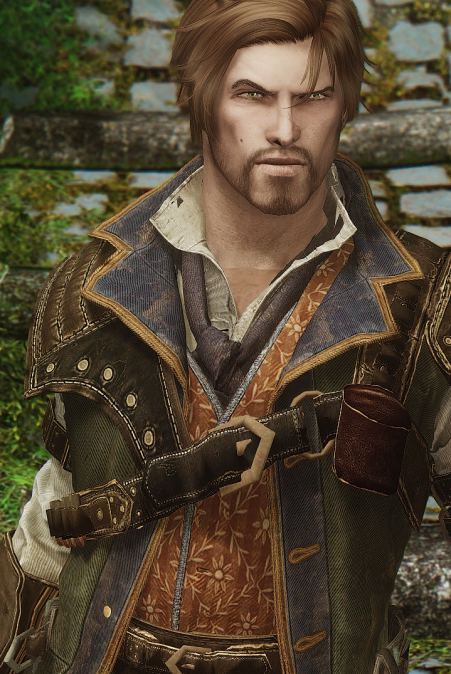 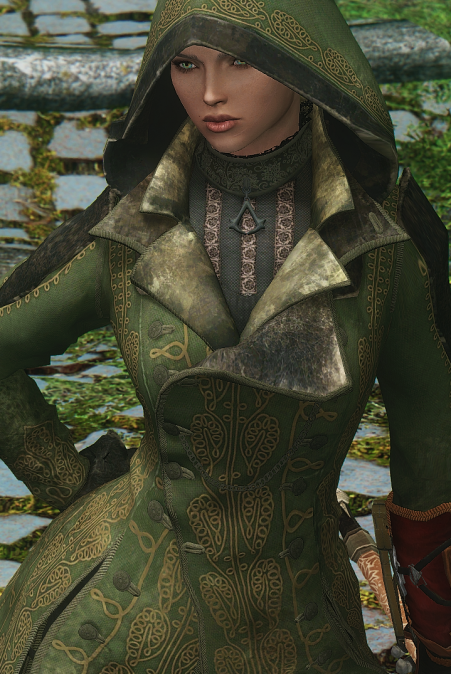 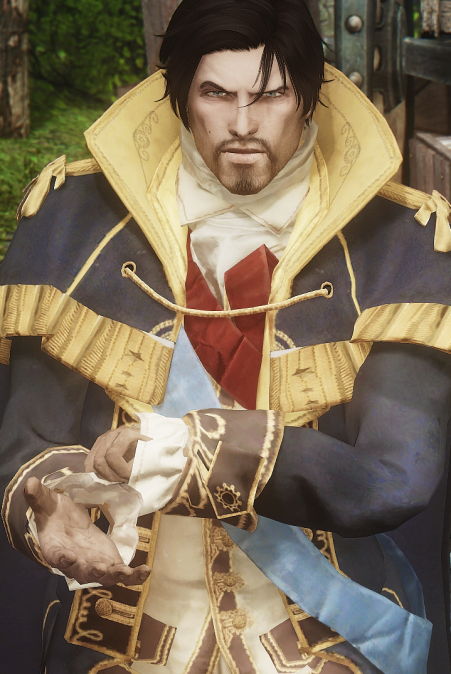 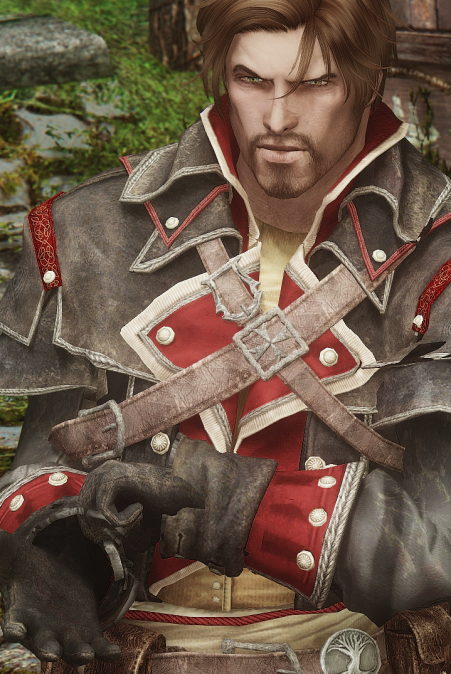 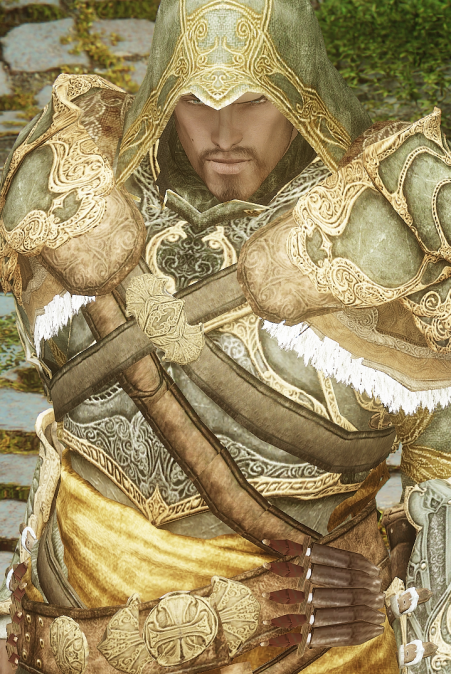 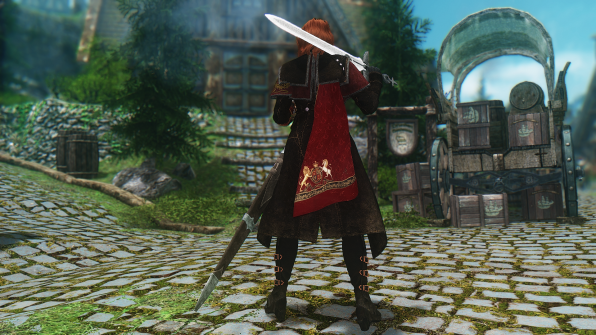 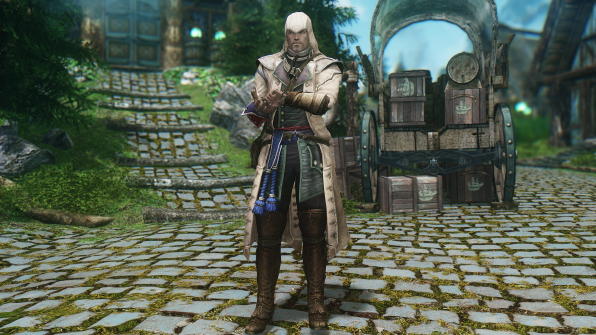 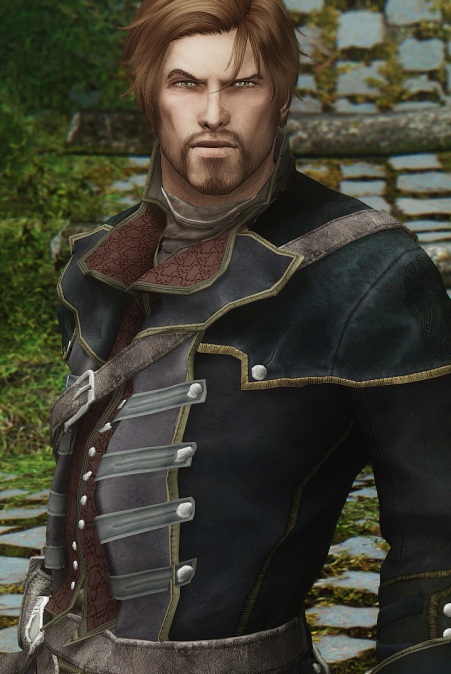 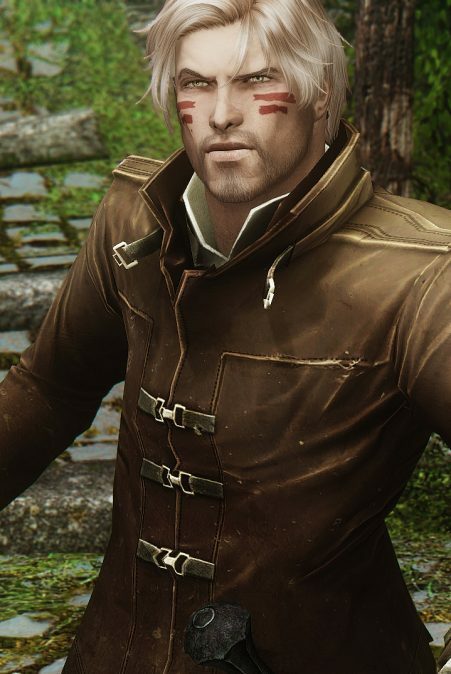 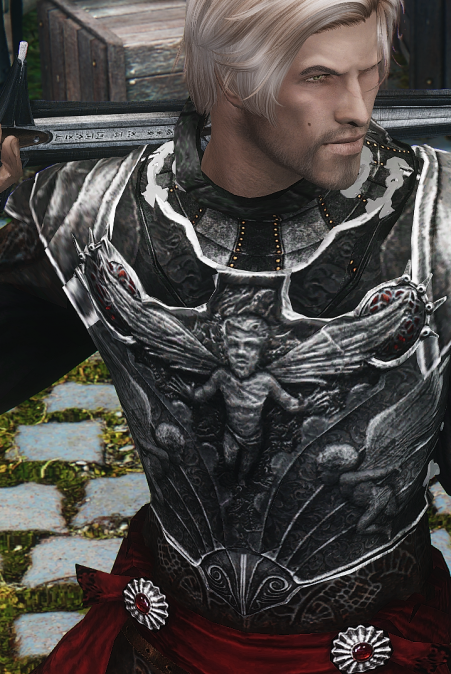 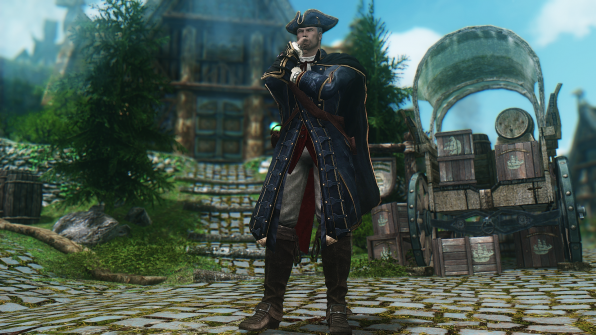 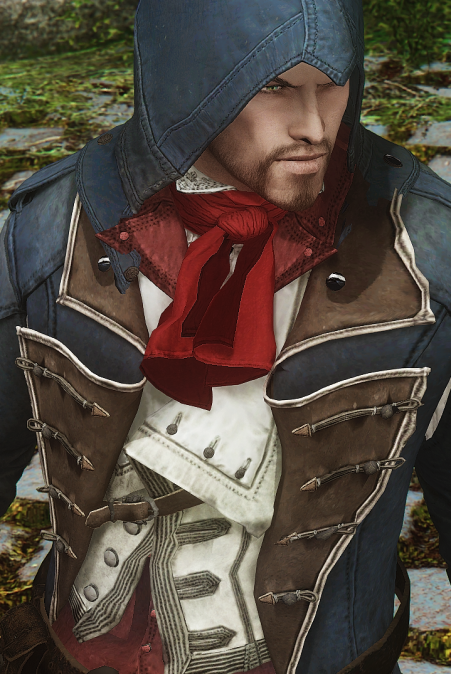 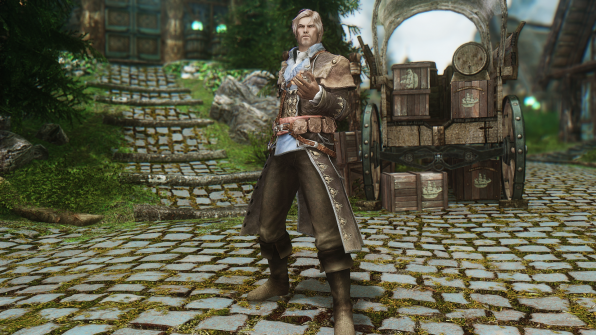 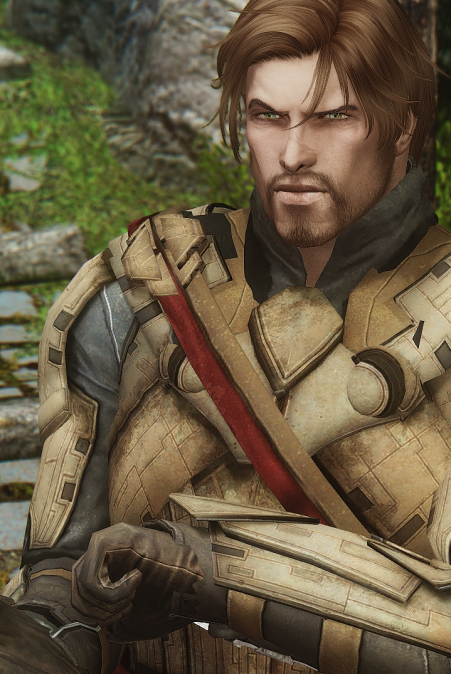 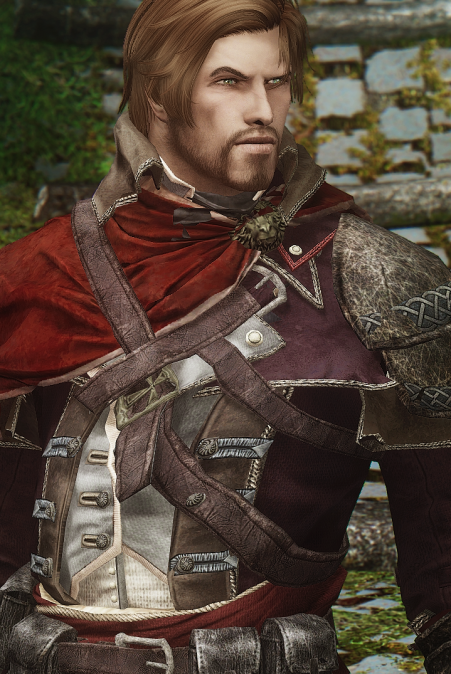 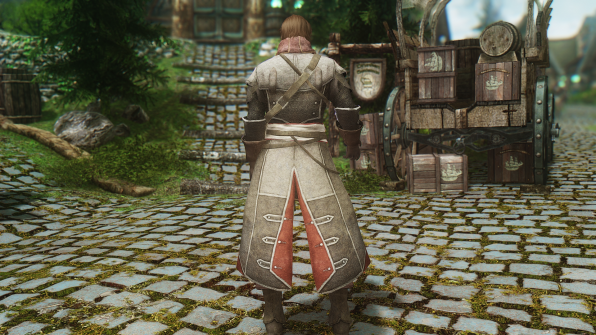 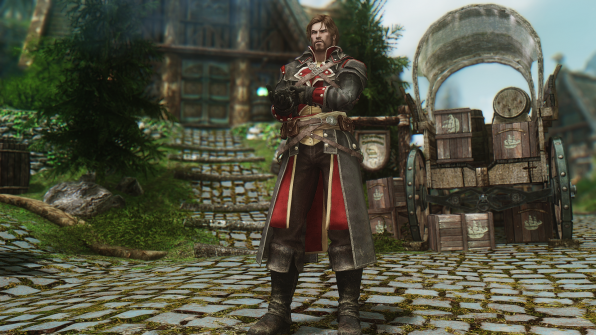 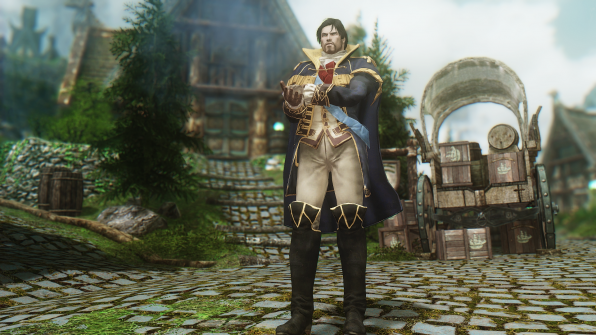 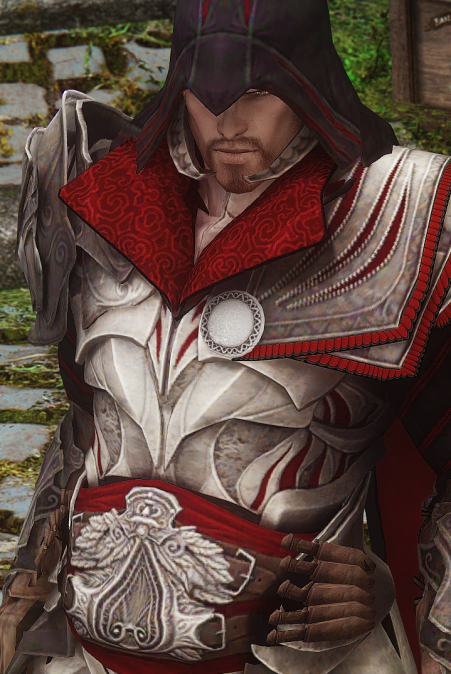 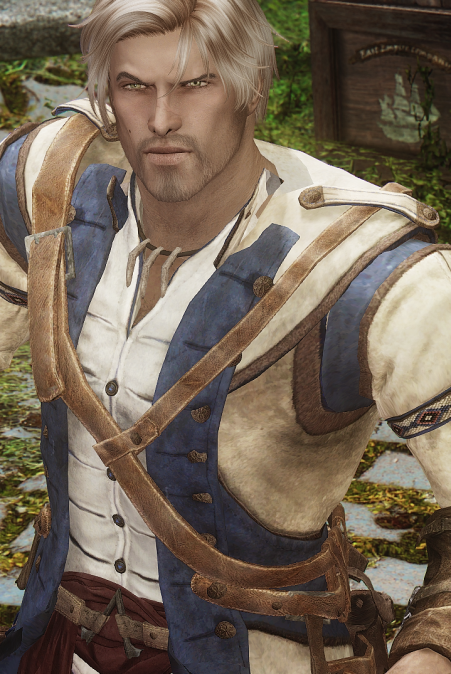 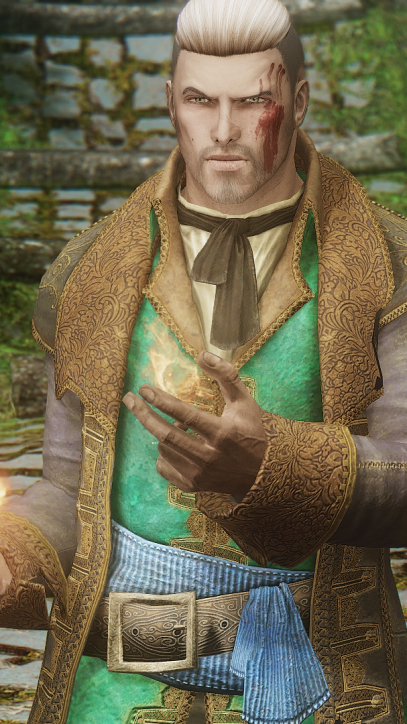 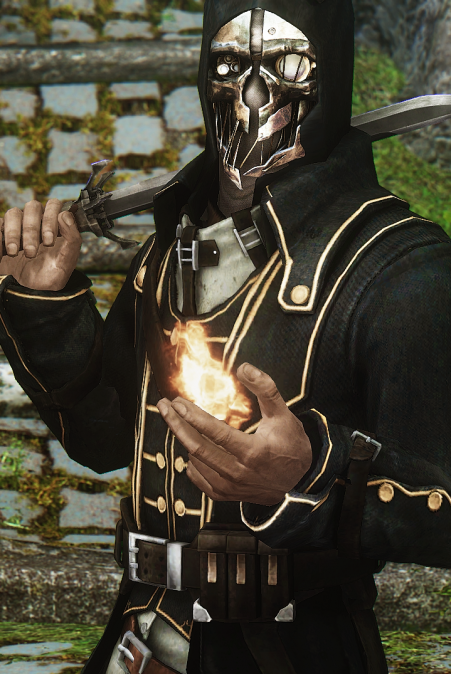 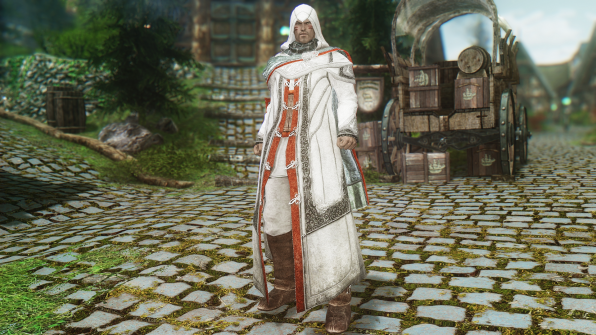 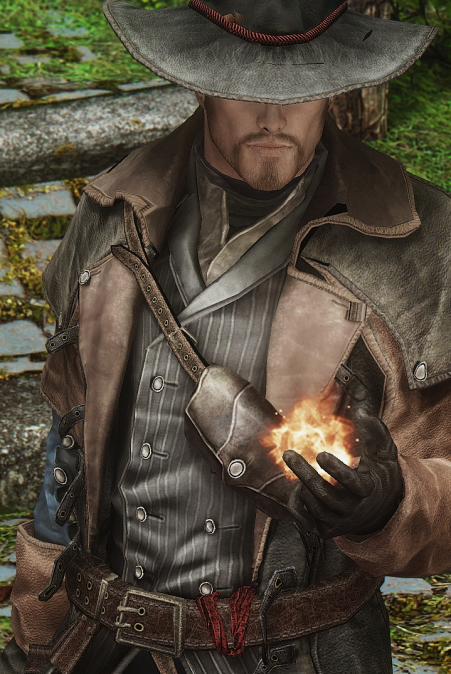 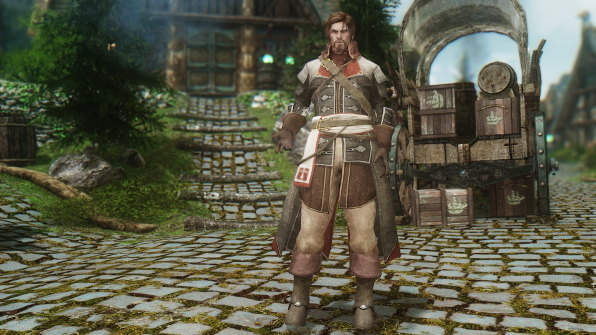 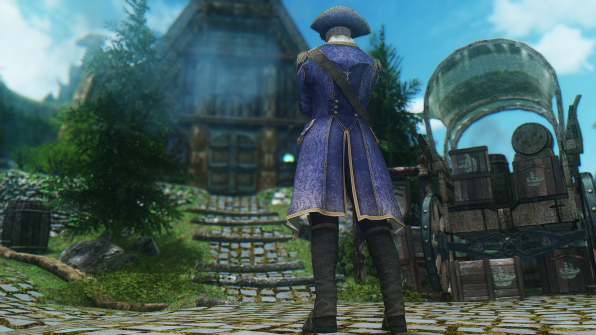 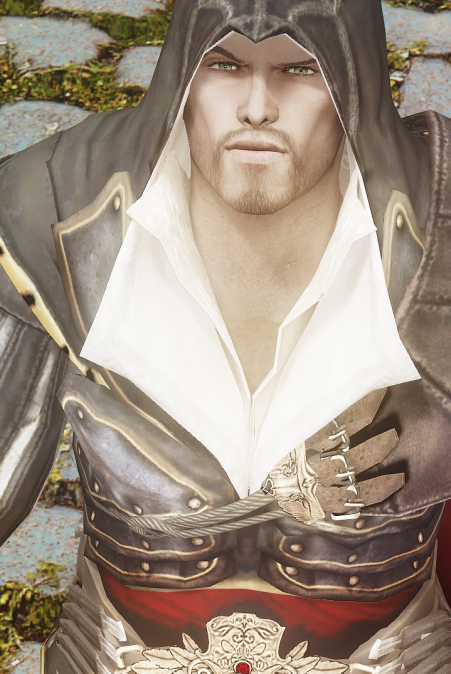 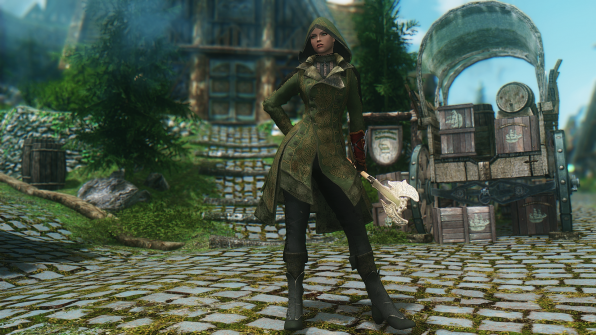 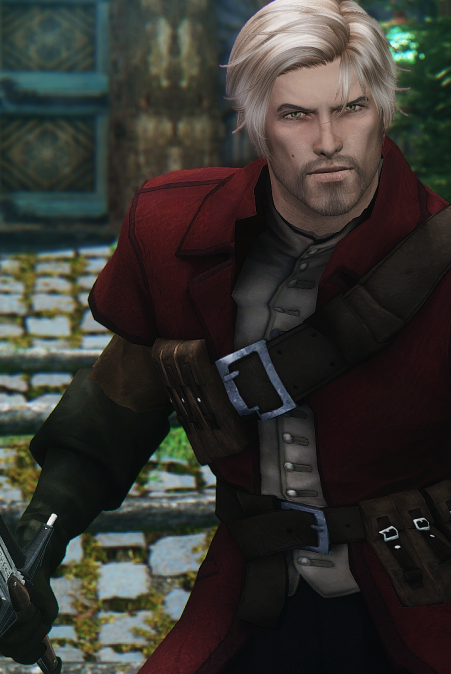 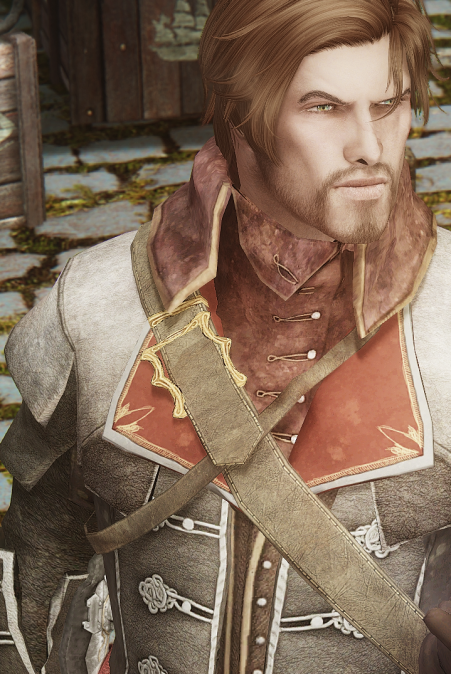 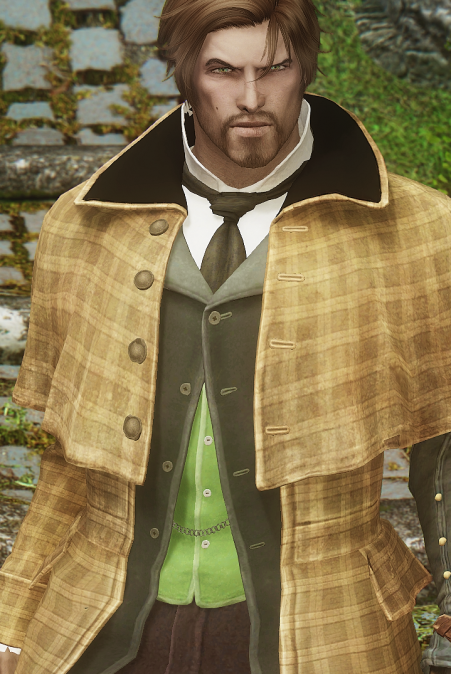 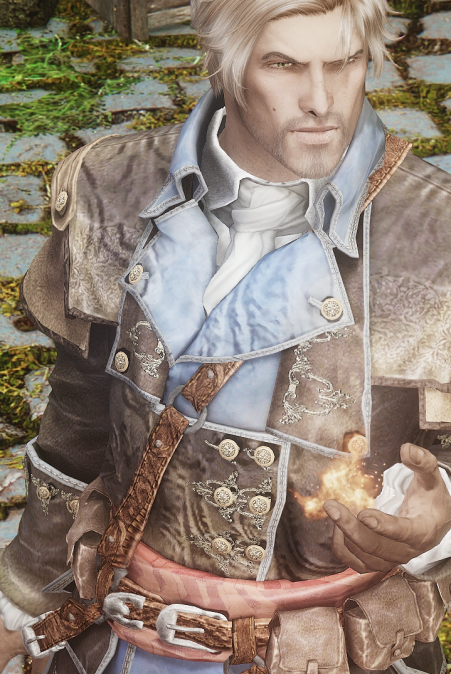 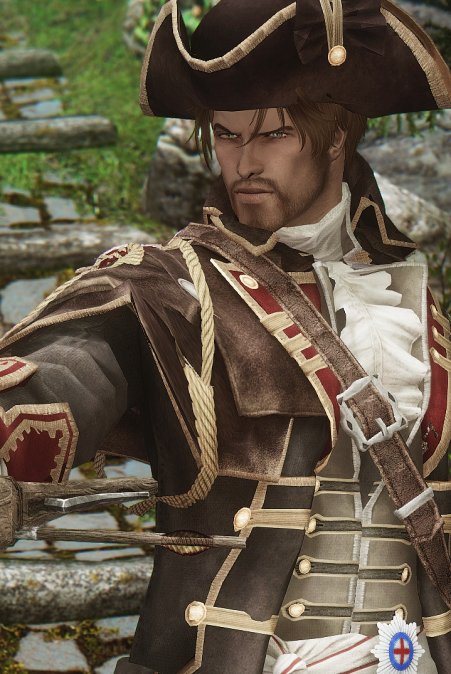 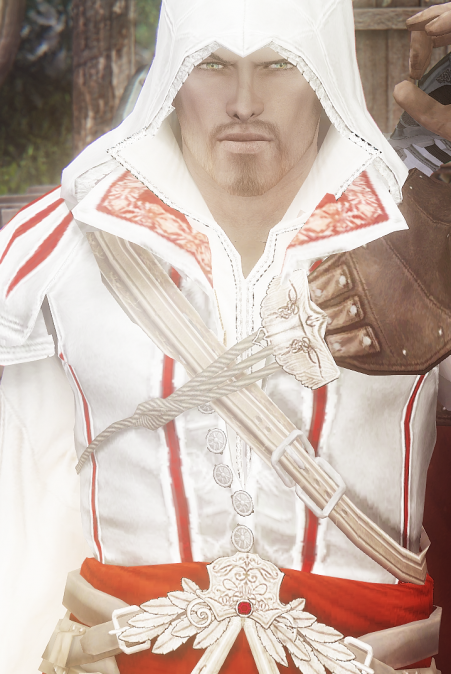 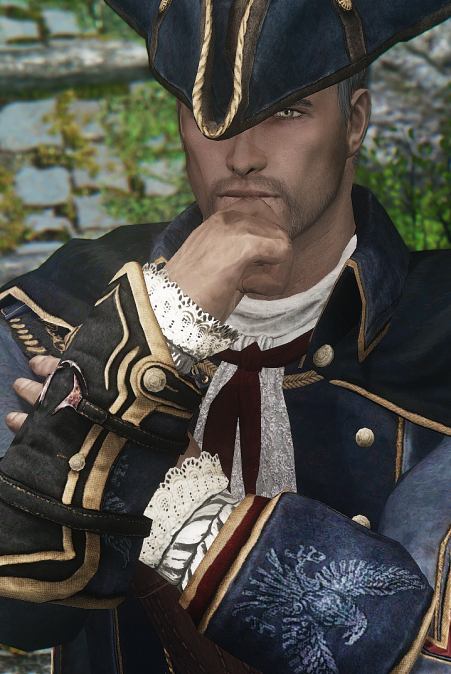 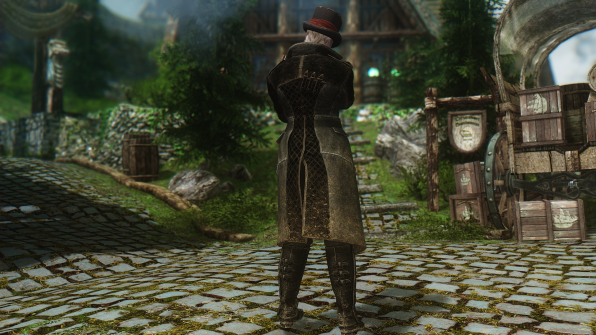 So i would like to ask your generous heart to send me the Colonial Templar coat that would a lot of help thanks! 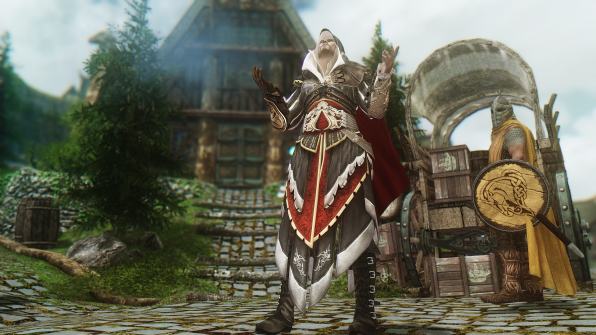 and should i check my email after the file is send? 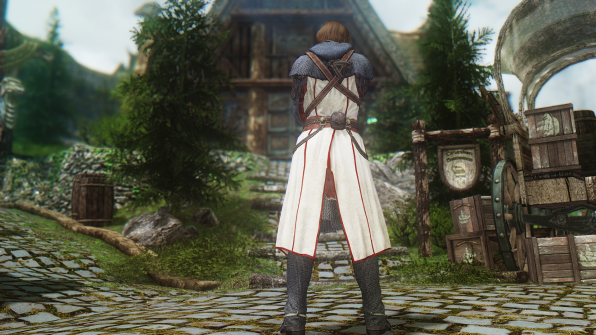 I need to come here again, good, that link is not broken, thanks again. 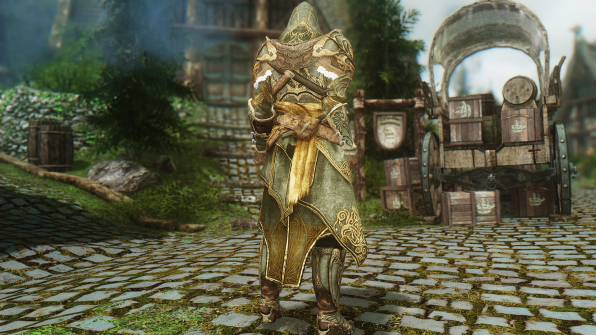 Hey guys, I’ve been trying with partial success to create a merged file but many of the armors tend to go invisible when I do so. 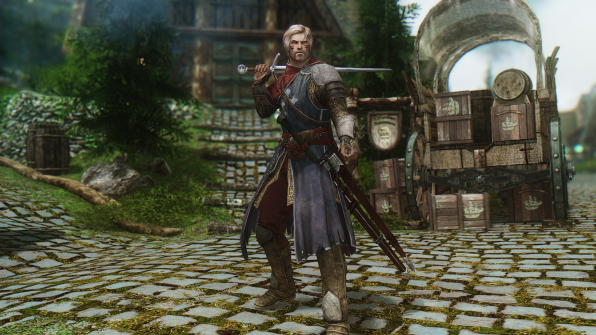 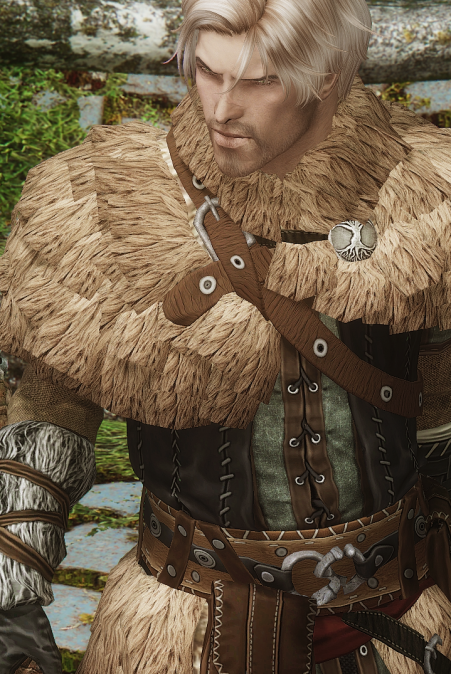 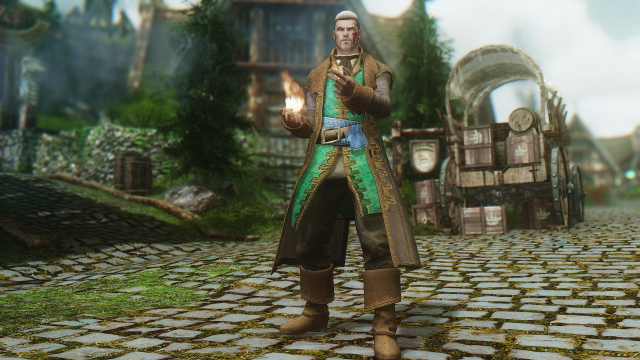 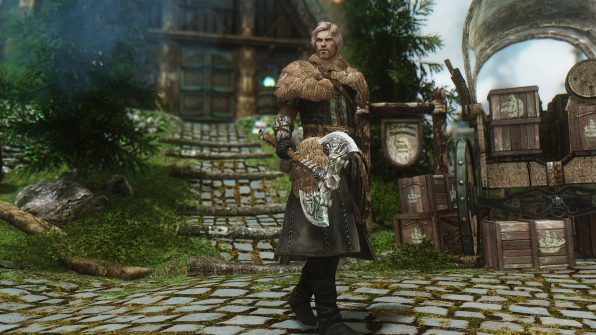 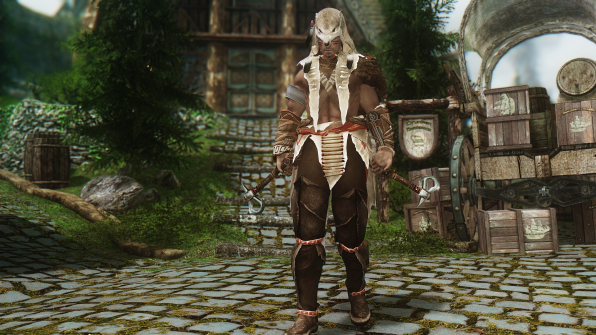 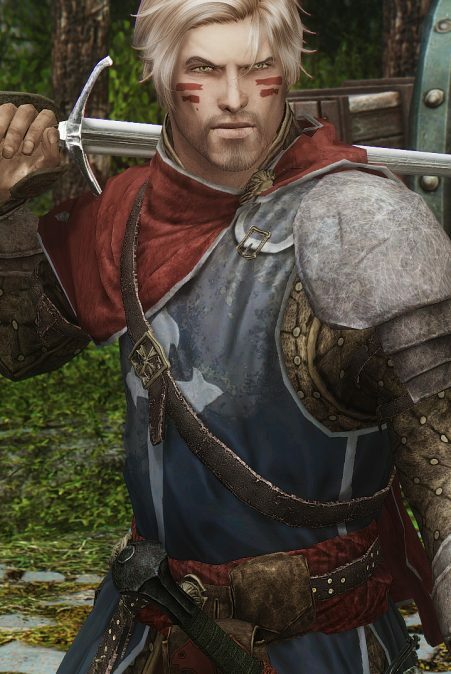 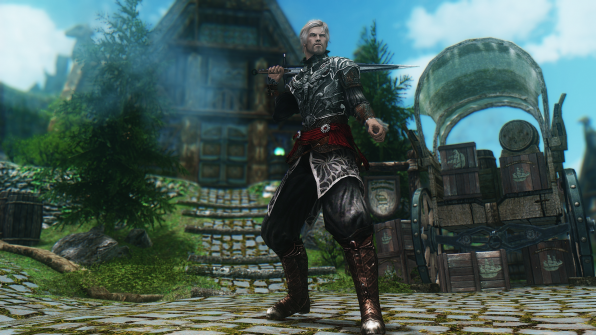 Anybody happen to have a merged esp of this or the witcher kit? 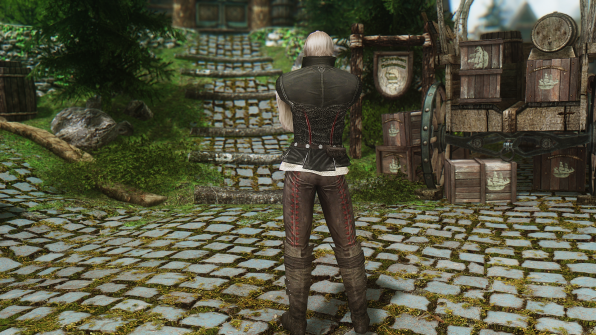 I love these armors but my load order becomes crazy. 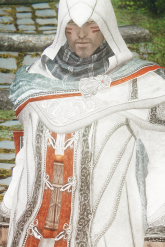 If anybody would be willing to merge the esp I would name my first born child after you. 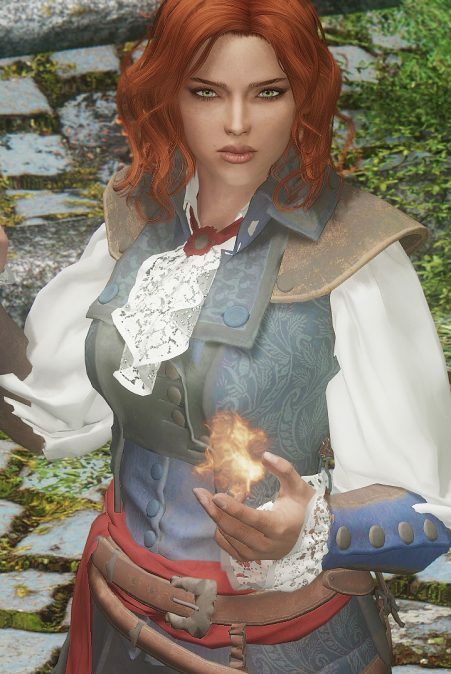 Is it maybe possible for you to send the file to me via email? 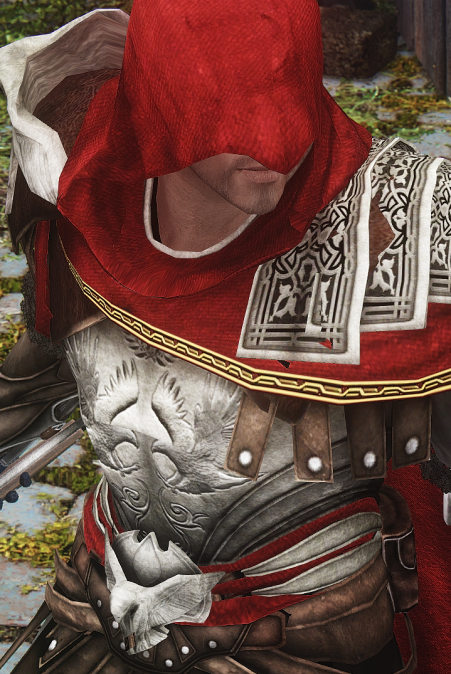 Mediafile isn’t working for me, the Captcha won’t show up for me to prove I am, in fact, human. 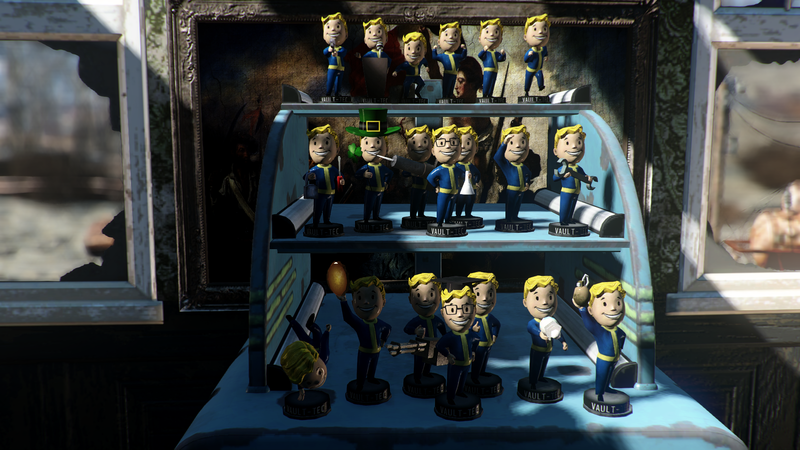 If it isnt too much to ask, and is within your knowledge, could you please merge them all into a single plugin? 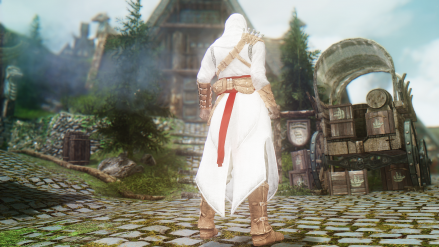 I tried doing it myself but im pretty new to this, so the end results were terrible. 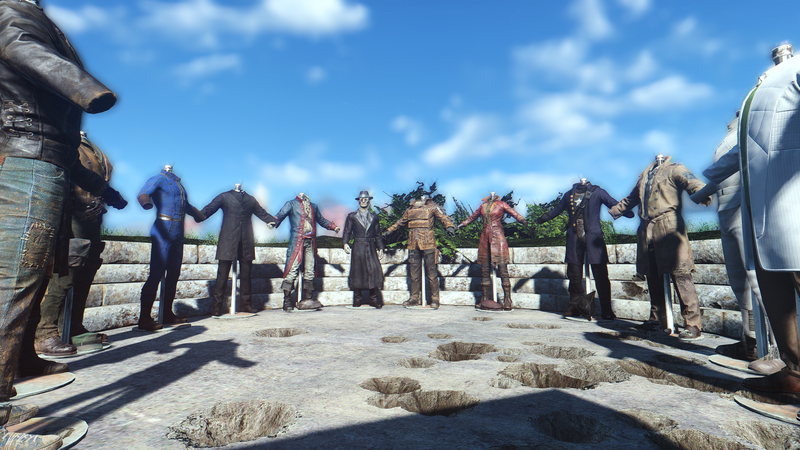 Would be much much appreciated =) Ive been keeping up with the updates ur making, thanks for making this content available to the rest of us. 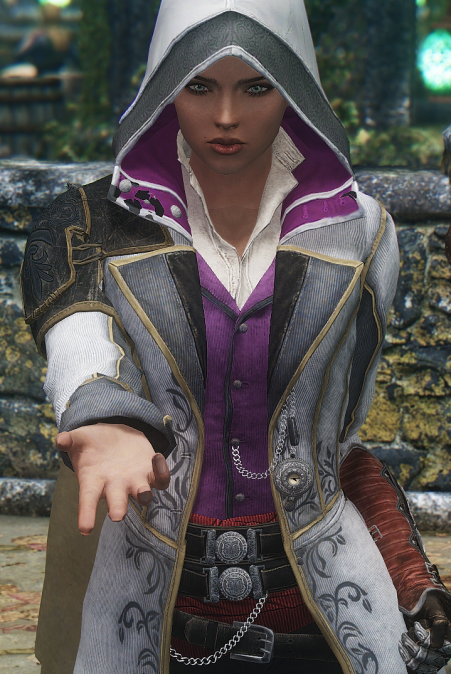 You are my best friend now!! 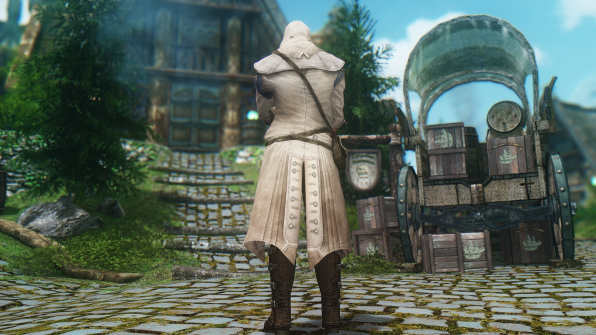 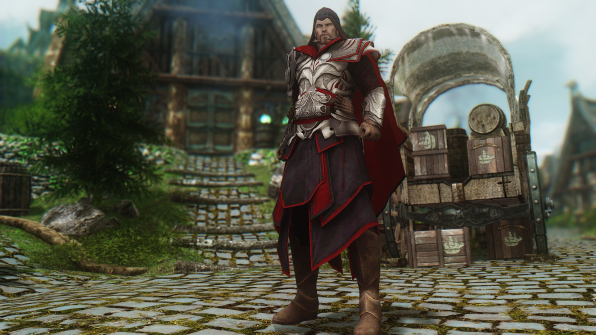 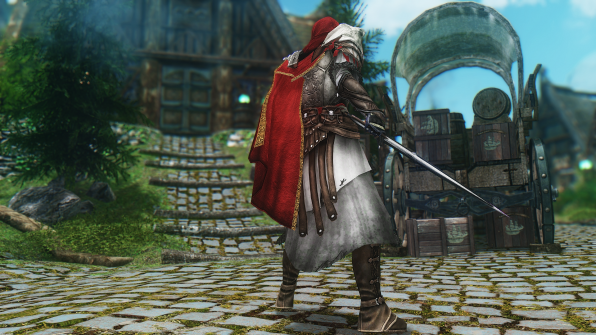 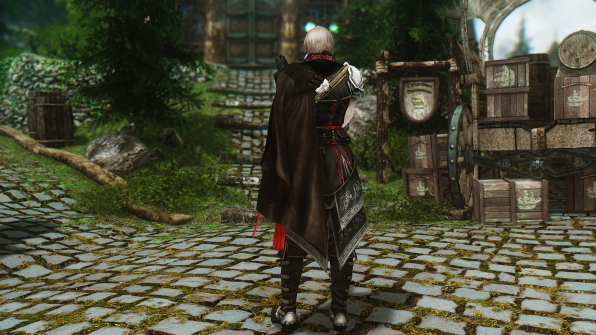 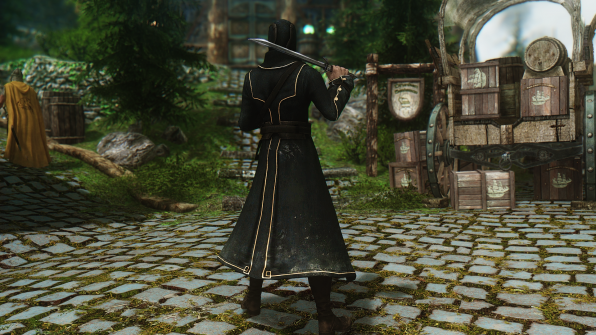 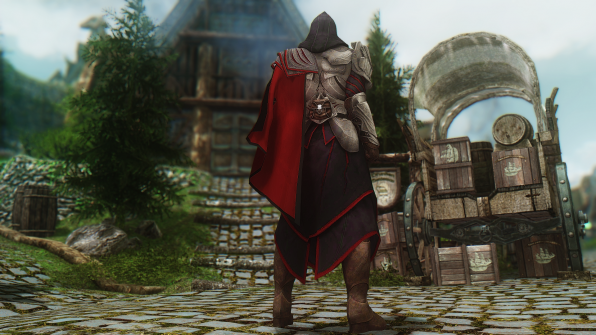 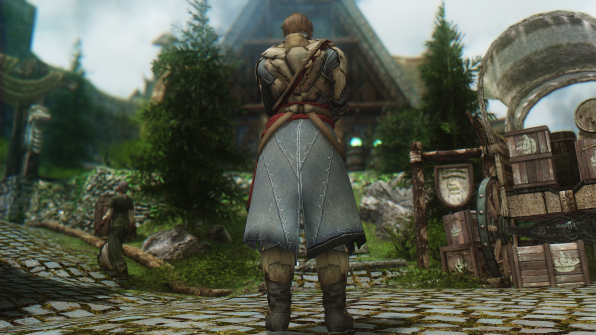 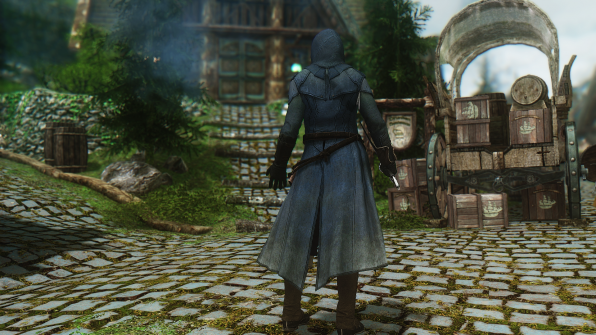 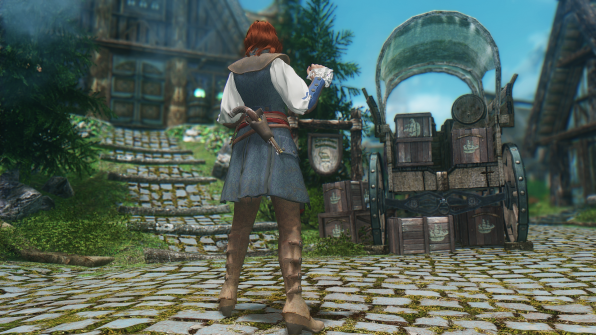 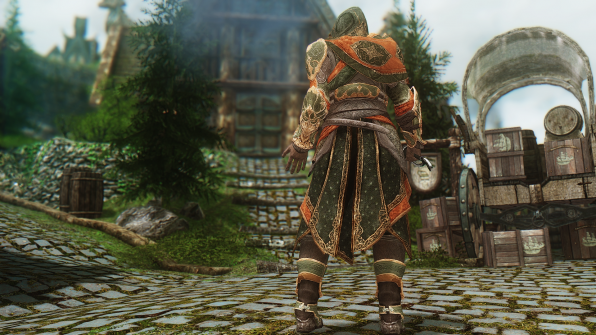 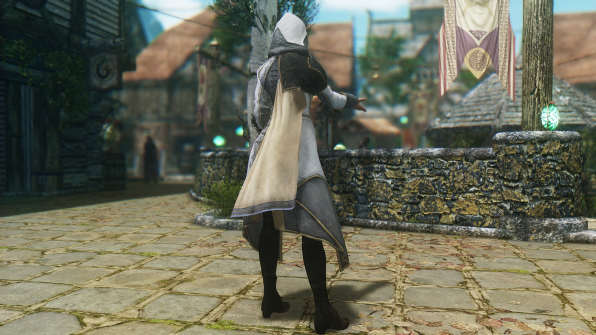 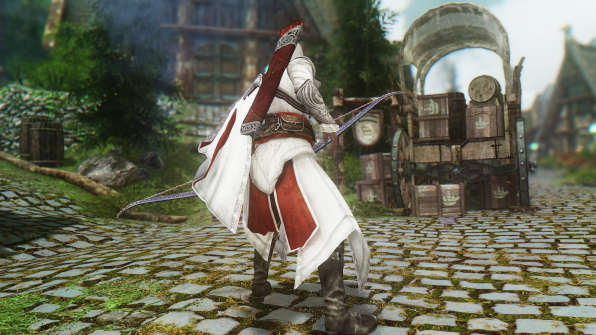 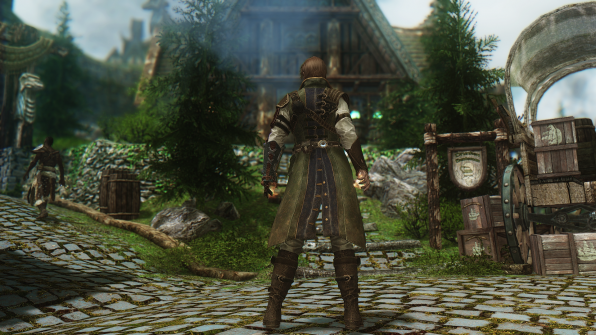 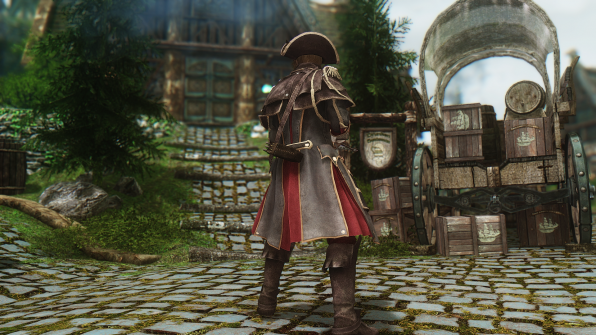 Thanks for the mod sharing and spread the love of Assassin’s Creed into Skyrim world!! 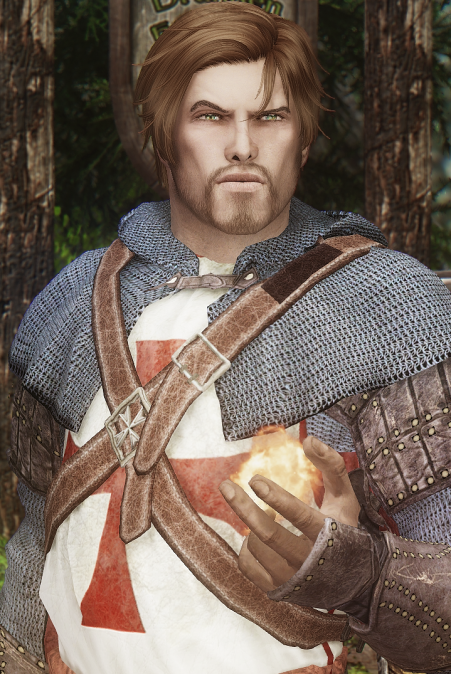 We work in the dark to serve the light.. 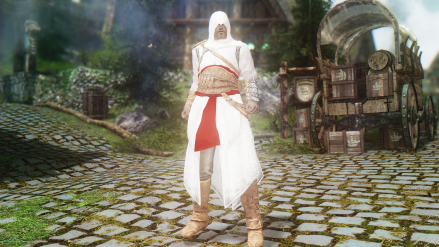 Cheers Assassins! 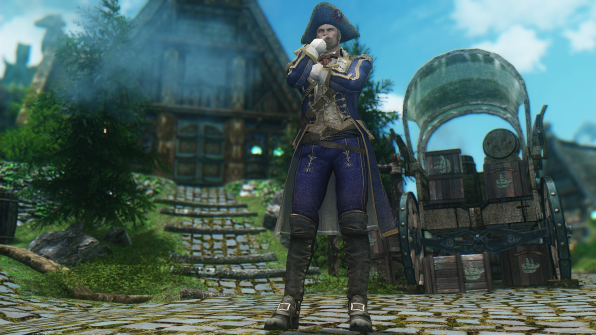 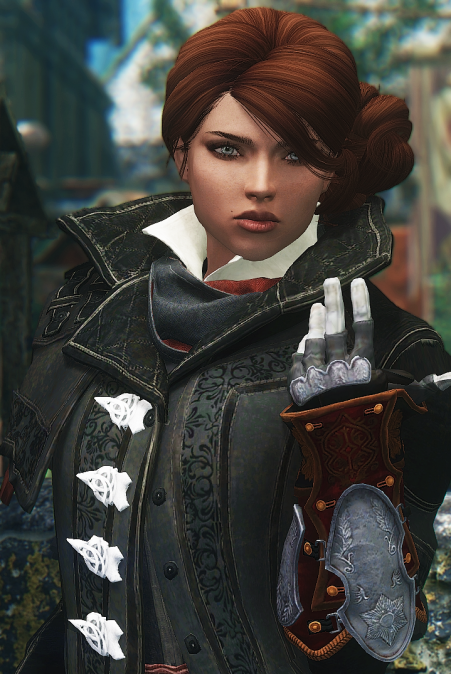 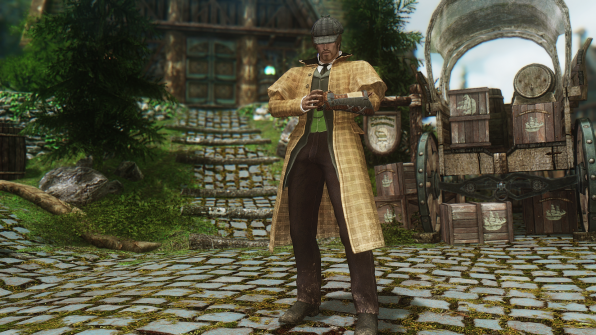 Anyone been able to find the “bloofer lady” outfit from syndicate?